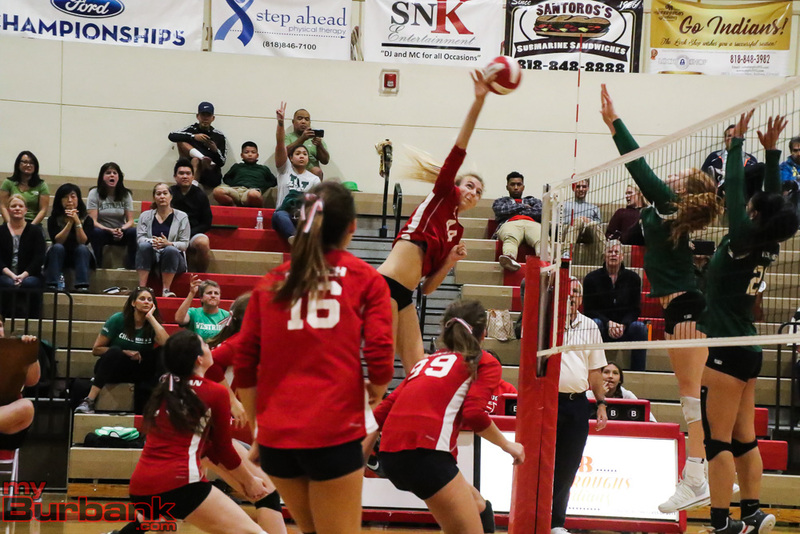 Crisp passing and solid sets to capable hitters has made the Burroughs High girls’ volleyball team so potent this season. 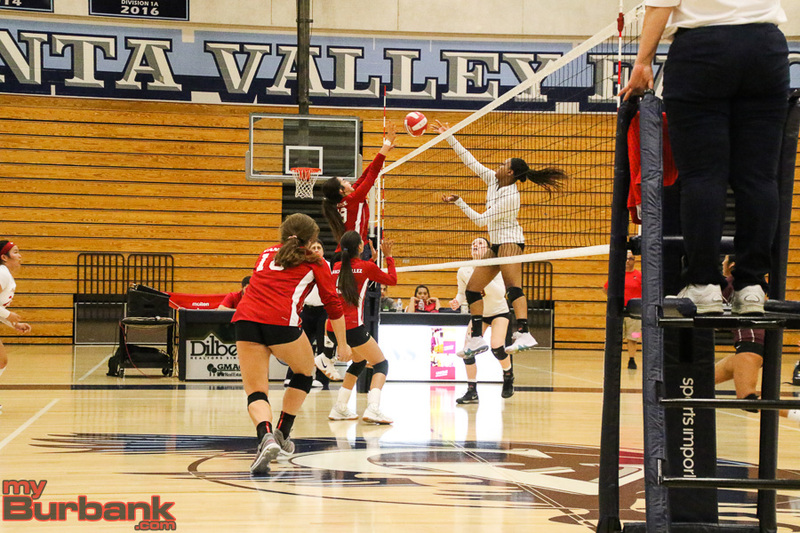 All were on display Saturday night when the Indians took on Notre Dame Academy in a CIF Southern Section Division III second-round playoff match at Crescenta Valley High’s gym. 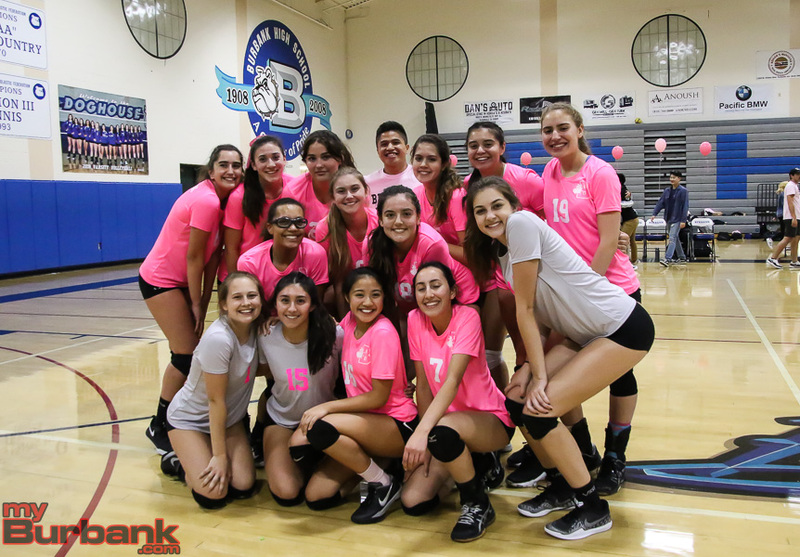 The result was a sparkling 25-18, 25-13, 25-20 sweep and with it a trip to the quarterfinals on Wednesday at Village Christian. The game-winning set began with Notre Dame Academy jumping out to a 3-0 lead on an ace from Katy Escun. 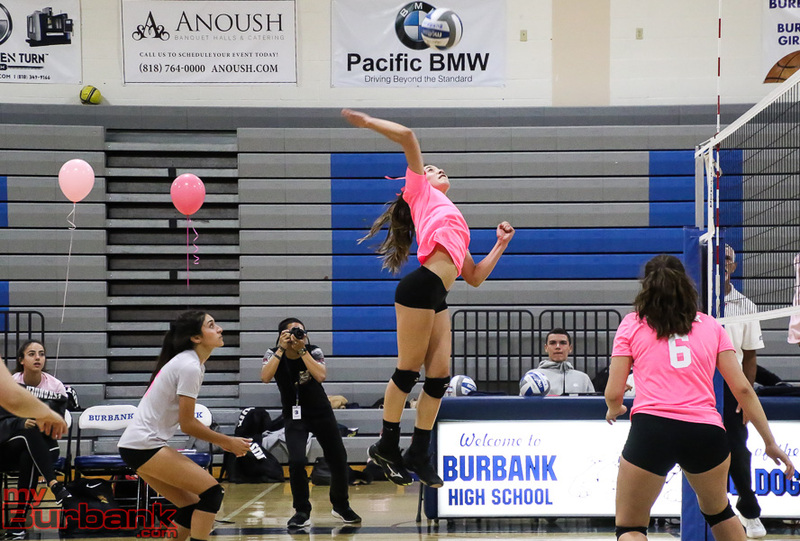 But the margin evaporated when Burroughs (26-8 and 13-1 in the Pacific League for a first-place tie with Arcadia) evened it at 5-5 on a service ace from freshman libero/defensive specialist Charlotte Hobson. 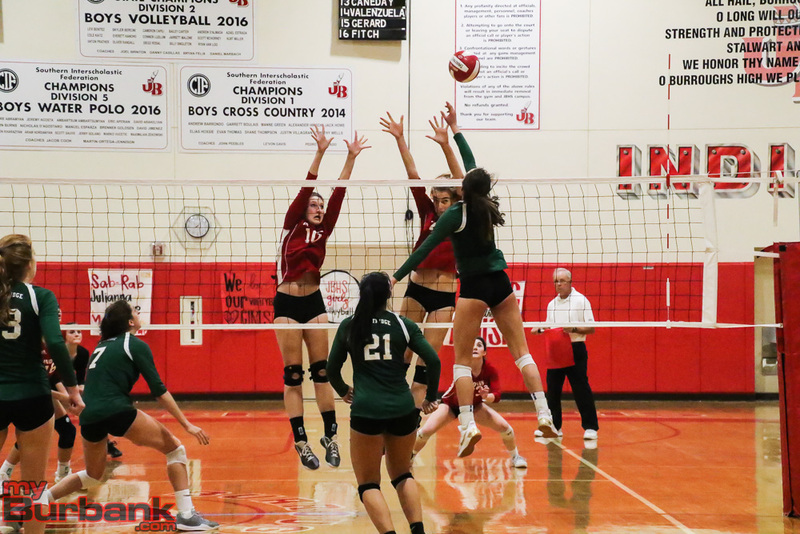 It became 10-6 on back-to-back kills from senior opposite hitter Juliana Van Loo, who had 16 kills, 14-10 on McGovern’s quick-push and 16-11 on junior outside hitter Lydia Grote’s winner. 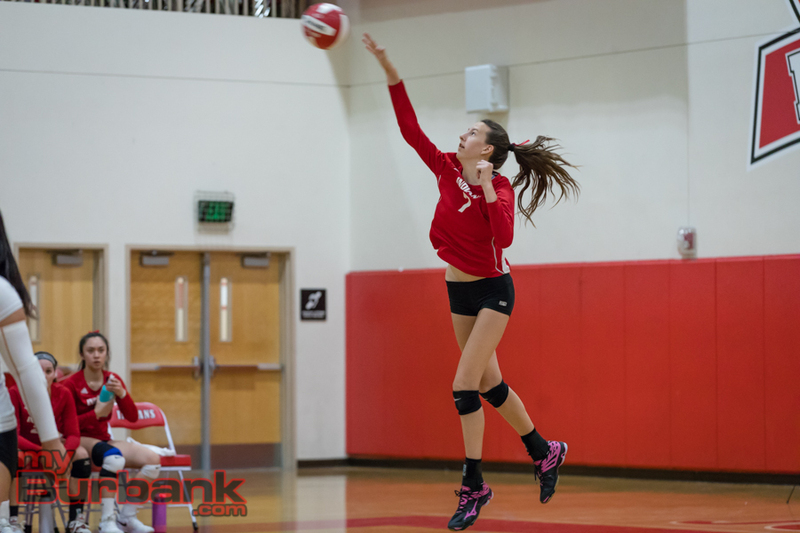 Notre Dame Academy bounced back and drew within 16-13 on a kill from Lucia Folsey. Consecutive spikes from Grote made it 18-13. 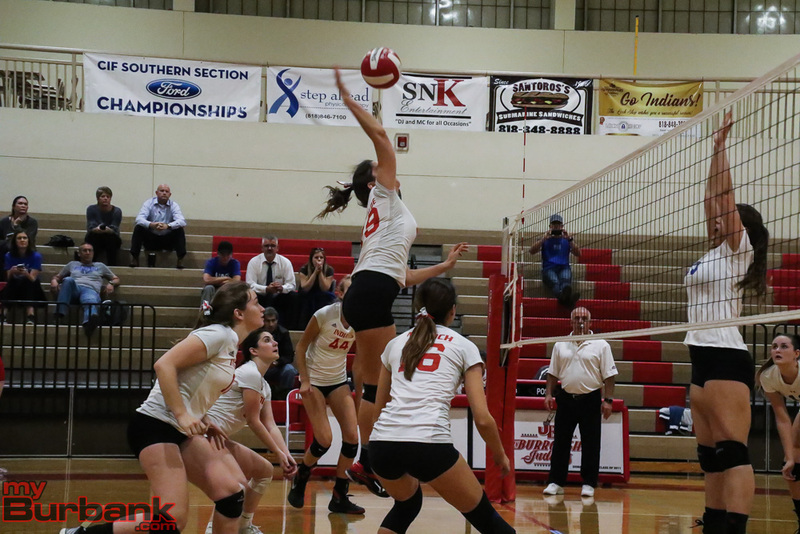 Grote’s smash put the Indians, who have won 14 of their last 17 matches, ahead 21-18 and when senior opposite hitter/defensive specialist Jolene Soliman sent in a service winner, the set and match was concluded. After the Regal Gryphons took a 2-0 lead on Escun’s ace in the opening set, Van Loo’s kill shoved the Indians in front 8-6. Soliman’s ace made it 11-7 as Notre Dame Academy (18-14 and 6-2 in the Sunset League for second place) called for time out. Grote’s kill made it 15-9, Grote’s laser pushed the advantage to 17-10 and Van Loo’s bullet made it 18-10. The Regal Gryphons outscored the Indians 5-2 and came within 20-15, which was capped on an ace from Jasmine Lucas. 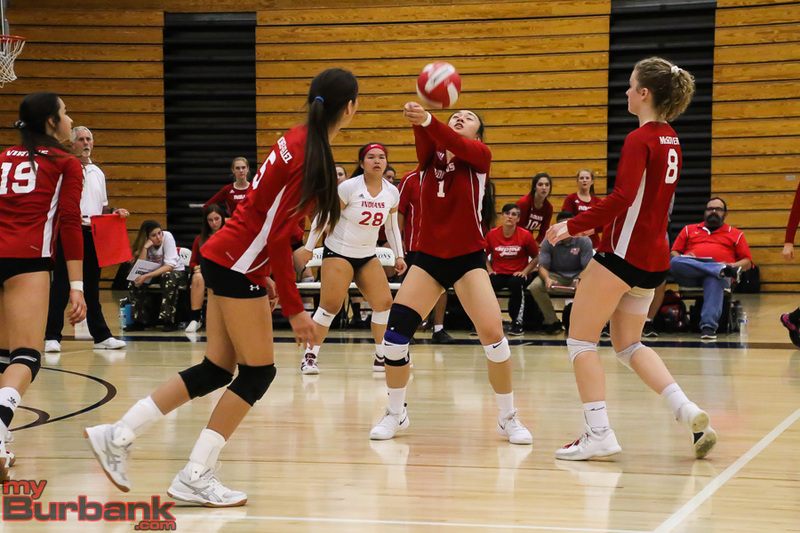 Burroughs muscled its way in front 22-16 on Van Loo’s kill and darted ahead 23-17 on a kill from sophomore designated specialist Lily Rogers. The frame came to an end when Folsey hit a serve that spilled out of bounds. In the second game the Indians led 4-1 on Grote’s tapper. A kill by Van Loo had the Indians ahead 8-4. 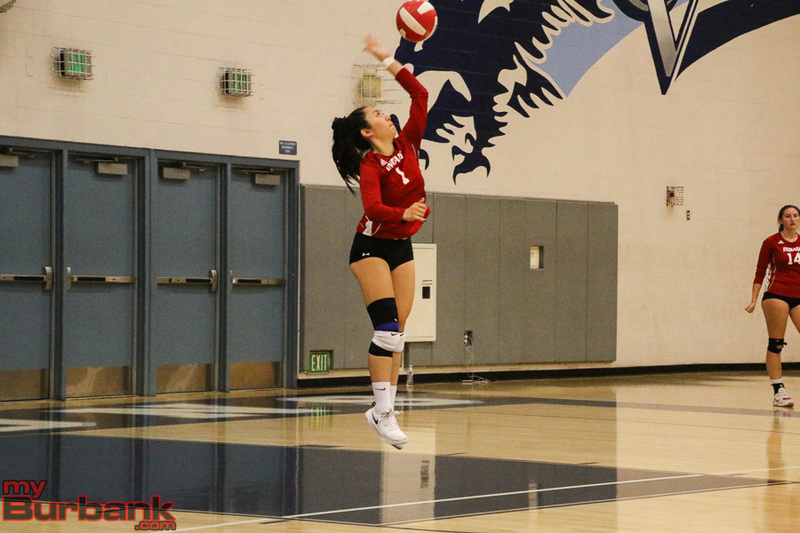 Burroughs led 15-6 when Grote added another kill, but the Regal Gryphons battled back and cut the deficit to 16-10 on a kill from Melissa George. 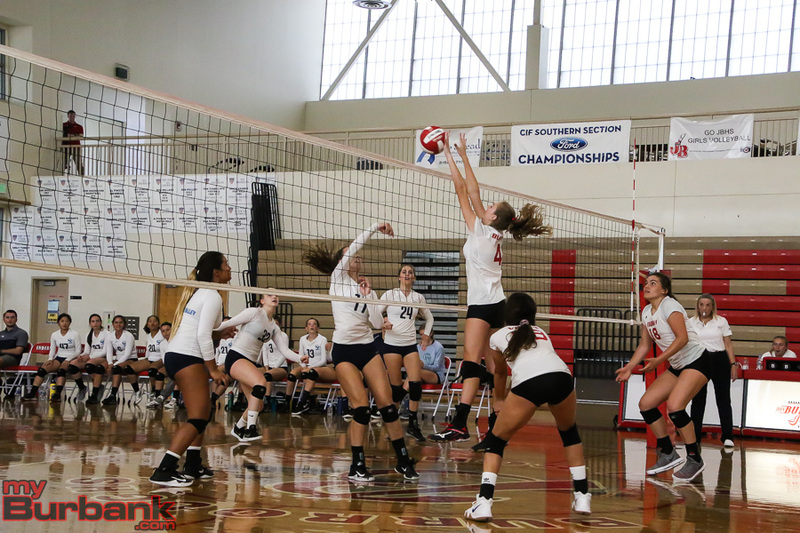 Sophomore outside hitter Catie Virtue’s tapper made it 18-10 and when Folsey’s attempt tickled the net, it was 20-12 as Notre Dame Academy asked for time. 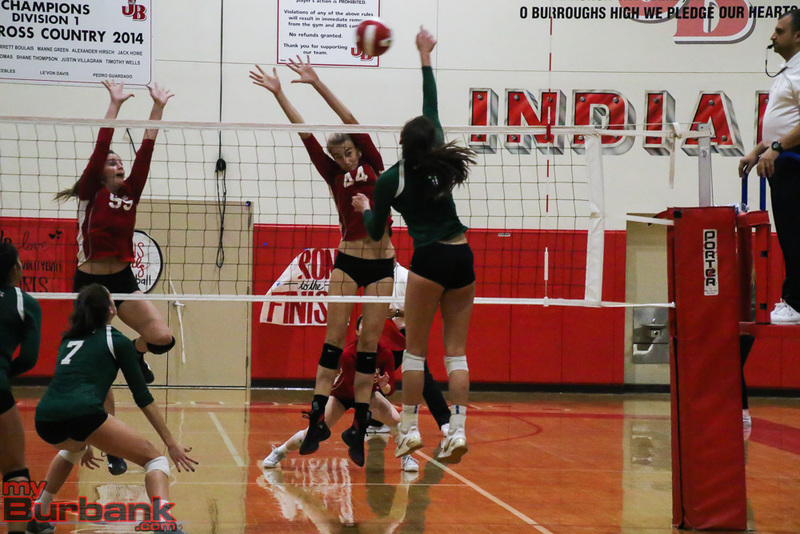 A Virtue (eight kills) tapper put the Indians in front 23-13 and when Grote rifled a clean winner, Burroughs pulled ahead two sets to none. 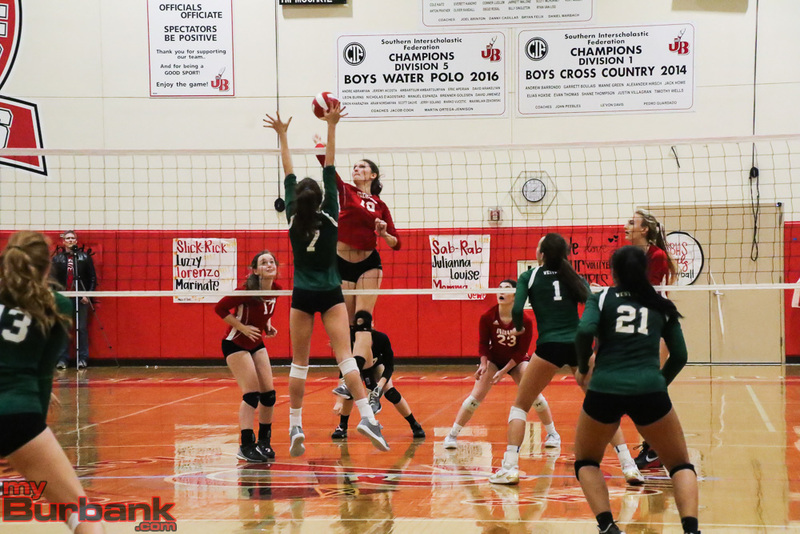 This entry was posted in Girls Volleyball, Sports and tagged Burroughs High, Catie Virtue, Charlotte Hobson, CIF Playoffs, Girls Volleyball, Jolene Soliman, Juliana Van Loo, Lily Rogers, Shea McGovern on October 21, 2018 by Rick Assad. 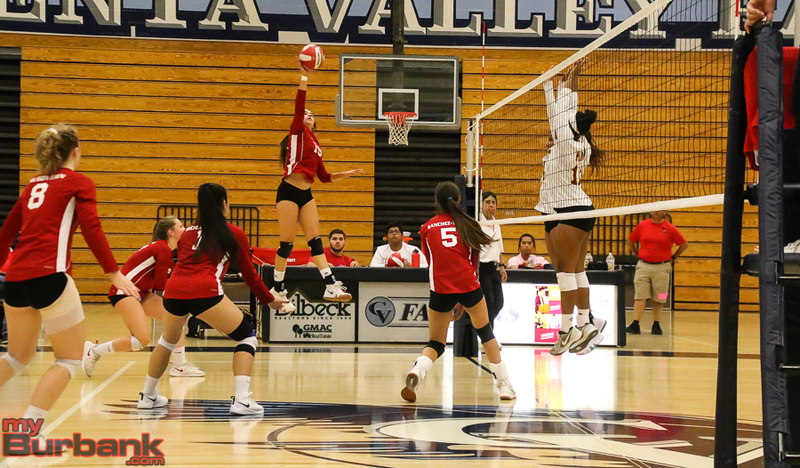 For roughly three quarters of Thursday night’s CIF Southern Section Division III first-round playoff match, the Burroughs High girls’ volleyball team pretty much dominated visiting University. 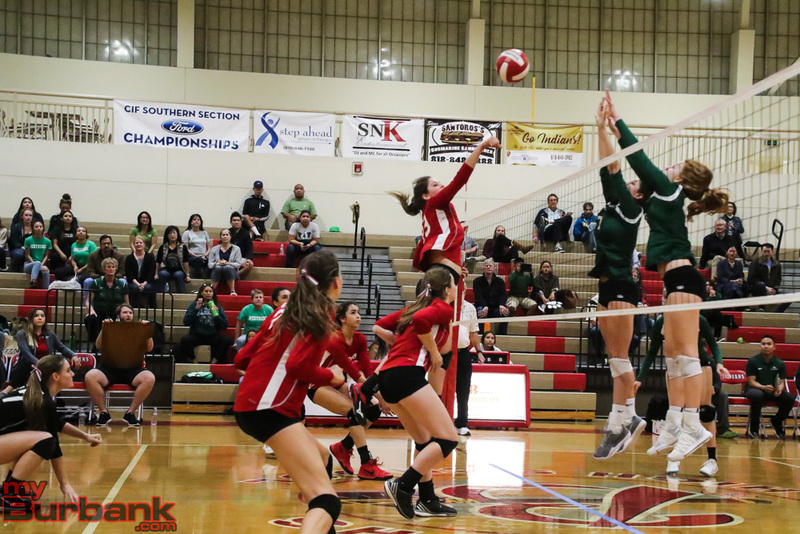 The four-setter was claimed by the Indians 25-17, 22-25, 25-18, 27-25, but it could easily have spilled over to a fifth game. The fourth set was a classic and knotted at 25-25, and it eventually boiled down to the final two points. “We had trouble getting the ball to the setter. 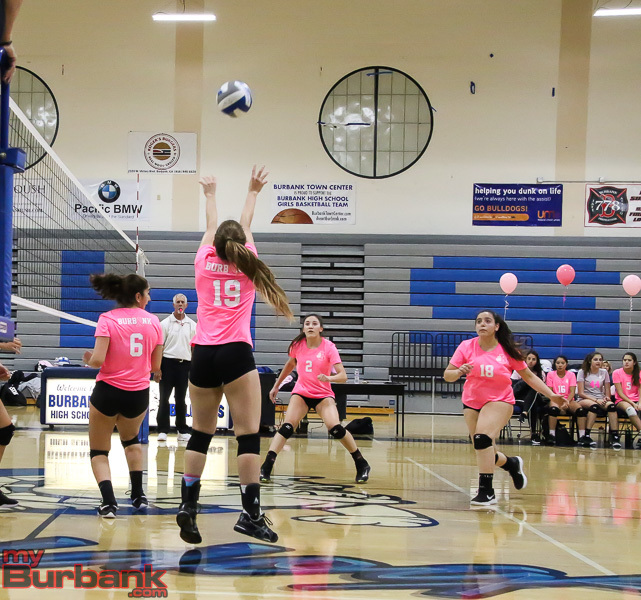 Once we got the ball to the setter, our hitters are pretty hard to stop,” Burroughs coach Edwin Real said. 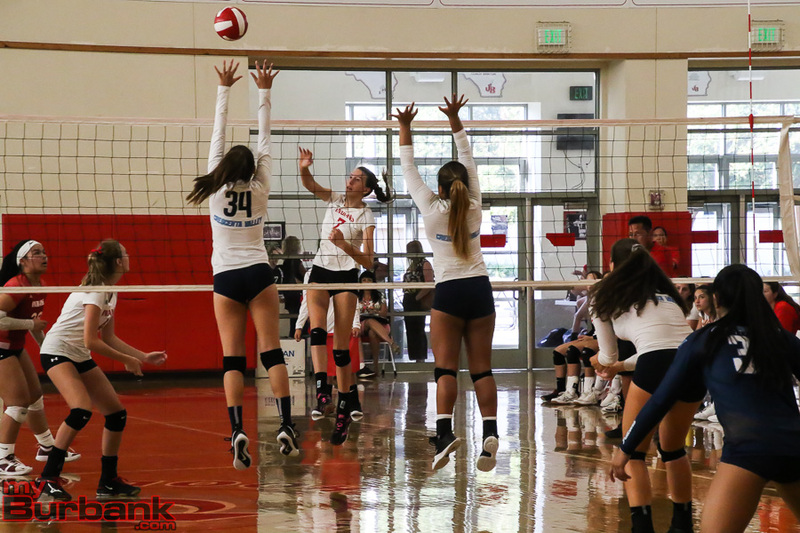 Junior outside hitter Lydia Grote collected both points to secure the win and a second-round match against Notre Dame Academy on Saturday. The Indians played Notre Dame Academy and lost in five sets in August. 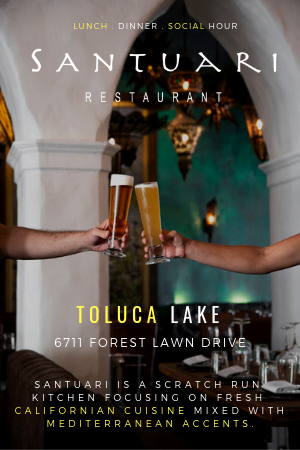 It will be played at 6 p.m. and the Indians will be the host, but it will be played at Crescenta Valley High because their gym is being used for homecoming. 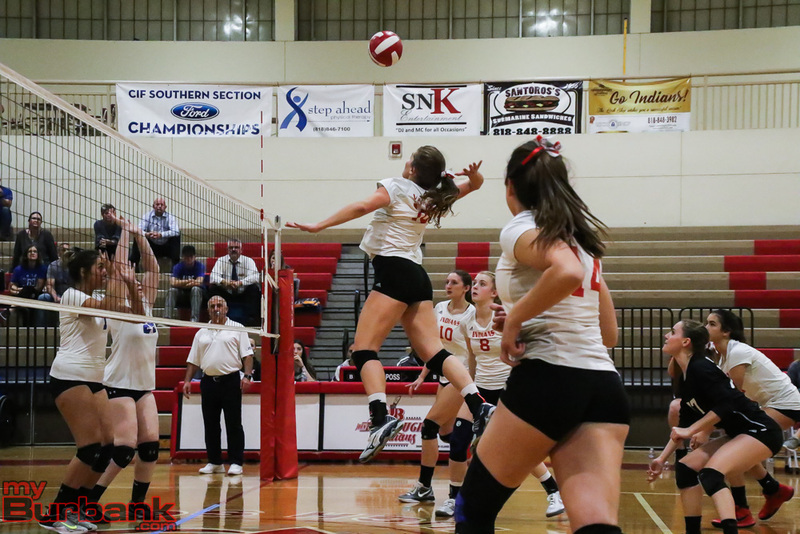 The Indians surged ahead 6-1 in the fourth game and led 10-5 on a kill from senior opposite hitter Juliana Van Loo. 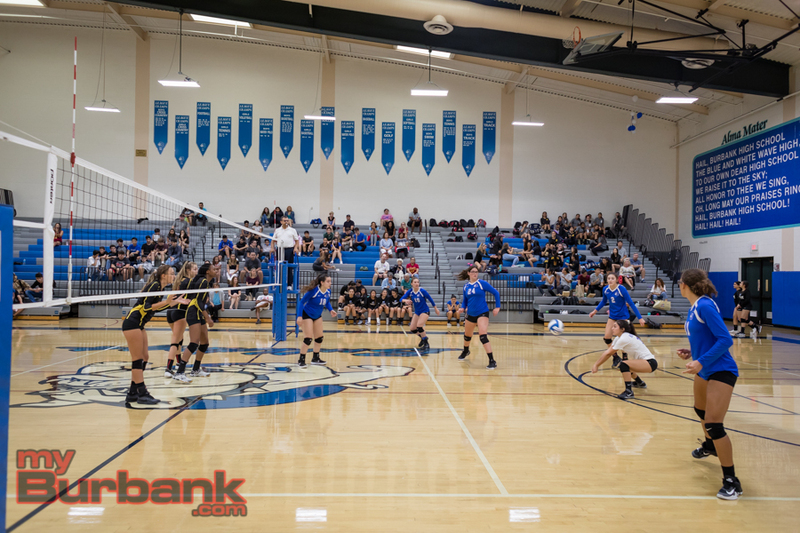 Grote’s spike made it 15-10, but consecutive aces from Trojans sophomore outside hitter Kiana Zarghalami cut the lead to 15-14 and Grote’s hitting error evened it at 15-15. Grote’s spike tied it at 16-16 and an ace from senior setter Shea McGovern made it 17-16. Van Loo’s tapper put the Indians in front 18-16 and Grote’s softie pushed it to 19-16. Van Loo expected the first-rounder to be tough. “I knew that it would go a fourth or a fifth because they’re a good team,” she said. 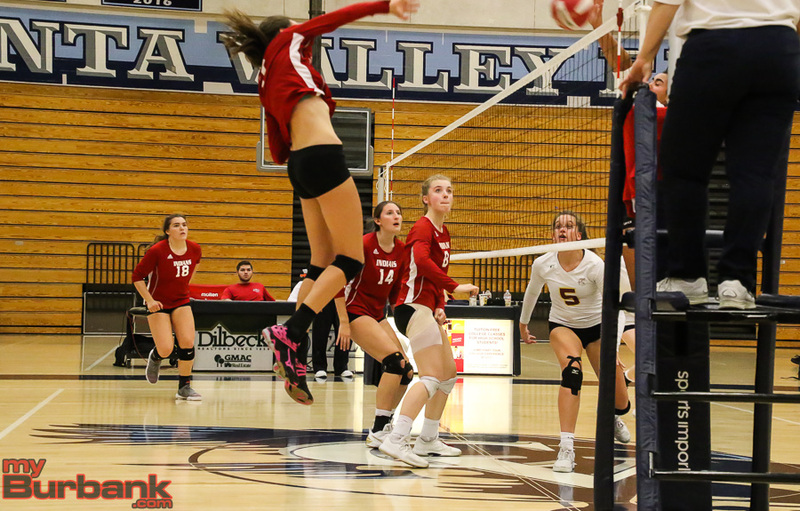 Van Loo’s kill shoved Burroughs (25-8 and 13-1 and a tie for first in league) ahead 22-21, but a kill from Trojans junior outside hitter Lily Krongold evened it at 22-22. 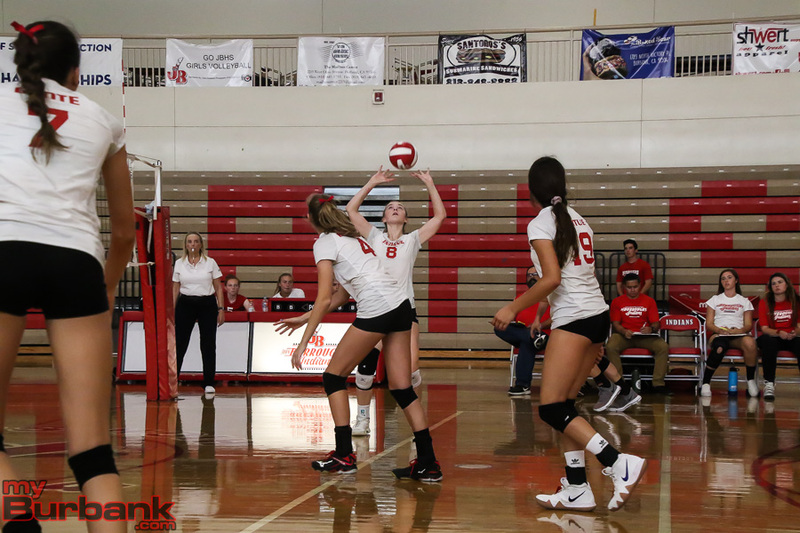 It was tied 3-3 in the opening set on Grote’s winner, but the Indians then moved ahead 7-4 on a spike from senior middle blocker Maggie Harris. It became 8-8 on Van Loo’s dagger and 15-10 on a tapper from sophomore outside hitter Catie Virtue. Grote’s kill made it 17-12 and 20-14 on an ace from senior libero Caitlin Lim. A service ace from Virtue made it 23-17 and a bullet from Grote gave the Indians the set. Grote’s kill leveled it at 3-3 in the third frame and Van Loo’s spike evened it at 5-5. Grote’s dagger made it 9-6 and an ace from sophomore defensive specialist Lily Rogers supplied the Indians with a 13-10 cushion. Back-to-back aces from McGovern extended the lead to 18-11 and Grote’s kill handed the Indians a 19-14 lead. 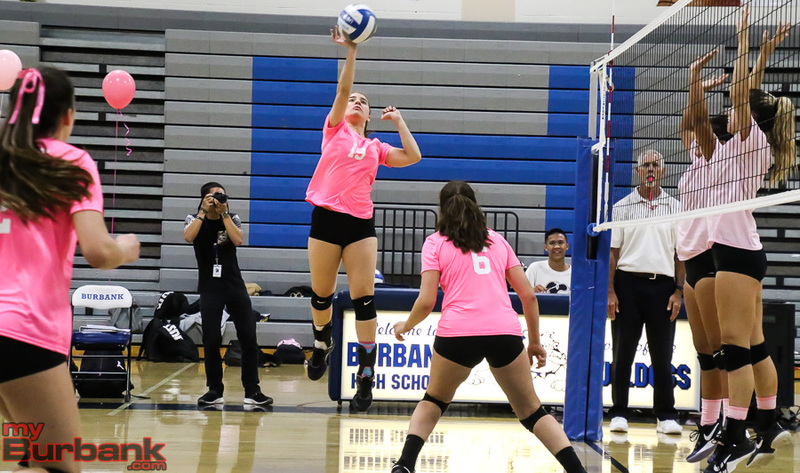 A kill from Burroughs sophomore defensive specialist Reese Coblentz made it 20-14 and the Indians sealed it when senior opposite hitter/defensive specialist Jolene Soliman served up an ace. The Indians jumped to a 3-1 lead in the second set when Van Loo and Harris combined on a block. An ace from Soliman pushed Burroughs’ lead to 10-5 and an ace from Rogers made it 13-7. A kill from Van Loo made it 15-11 and later 17-17 on a tapper from Van Loo. 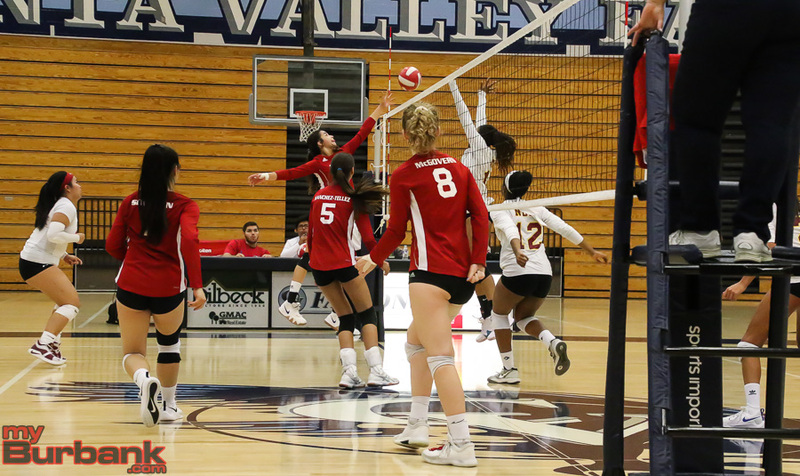 University (15-16 and 6-4 for third place in the Pacific Coast League), which is located in Irvine, captured eight of the next 13 points as junior opposite hitter Serena Choi’s kill won the set. 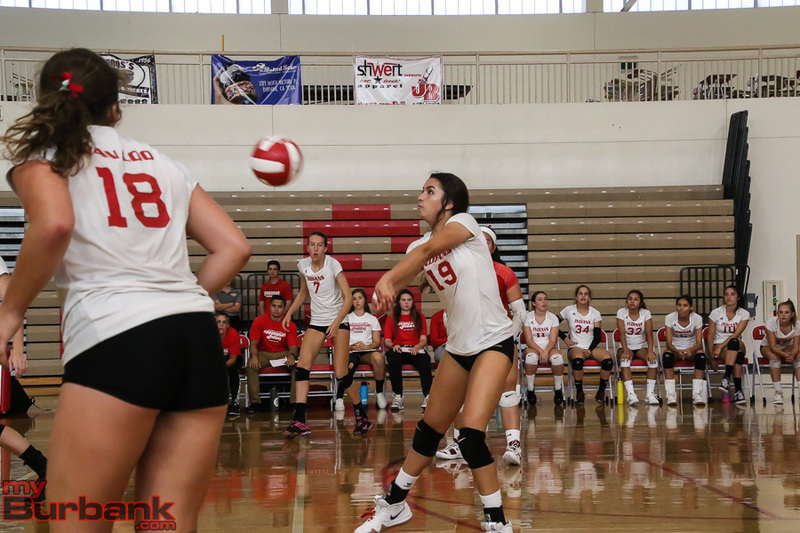 “The experience as far as Burroughs goes, they’ve made the playoffs,” University coach Garry Currier said. “These girls have never been to the playoffs. It’s been nine years and this would have been 10 years. It [the match] could have gone either way. 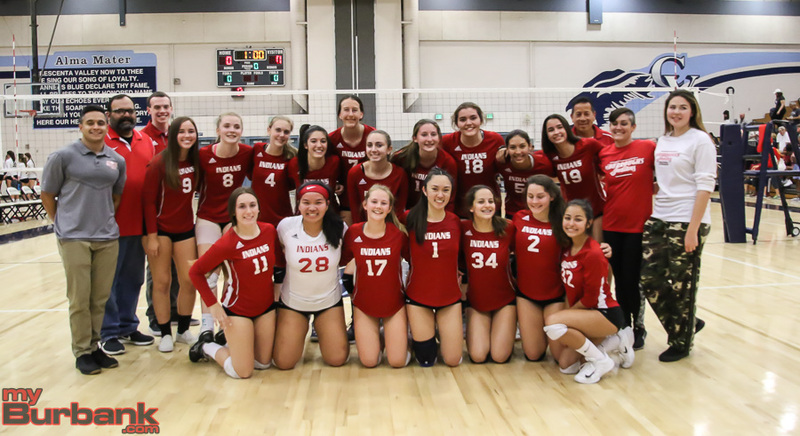 This entry was posted in Girls Volleyball, Sports and tagged Burroughs High, Caitlin Lim, Catie Virtue, CIF Playoffs, Girls Volleyball, Jolene Soliman, Juliana Van Loo, Lily Rogers, Lydia Grote, Maggie Harris, Reese Coblentz, Shea McGovern on October 19, 2018 by Rick Assad. 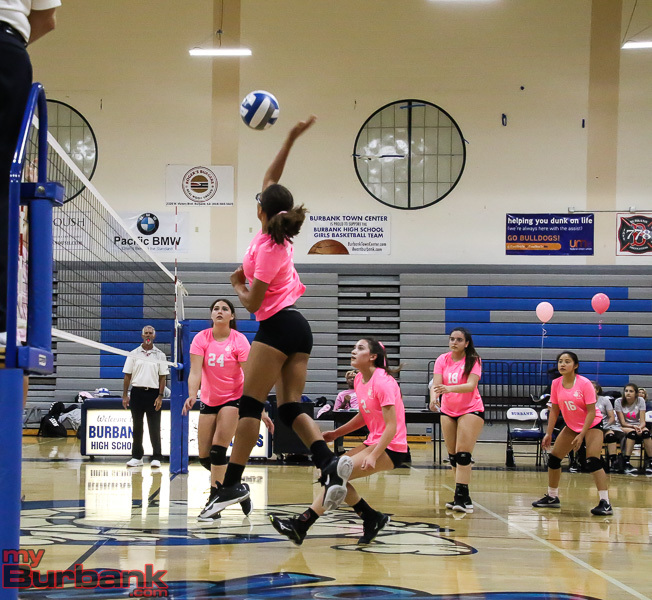 Prior to the Burbank High girls’ volleyball team facing visiting Burroughs on Thursday night in the Pacific League regular-season finale, each had played splendidly over the course of many matches. The Bulldogs had captured six of seven while the Indians won 11 of 14, so the showdown was expected to be tight. 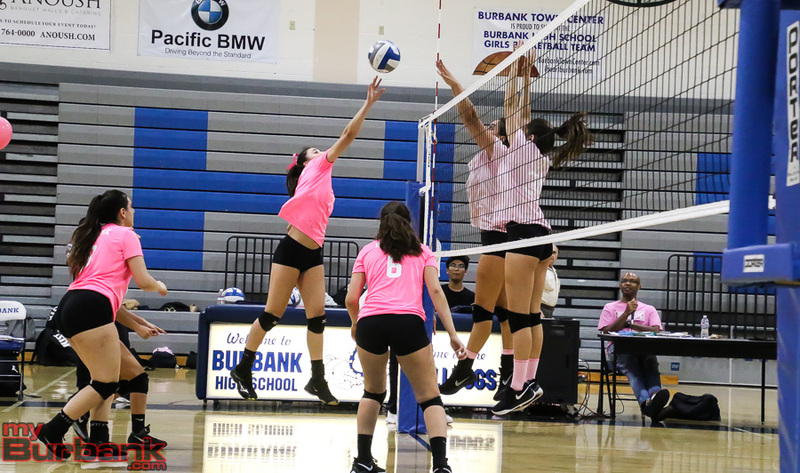 Though Burroughs prevailed 25-16, 25-21, 21-25, 25-13, Burbank played with enthusiasm, grit and determination, but simply couldn’t overcome Juliana Van Loo and Lydia Grote, who paced the Indians. 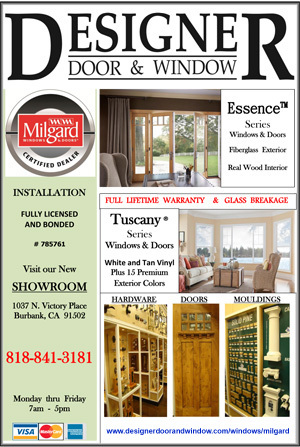 Both squads will have its season continue in the CIF Southern Section playoffs which begin next week. 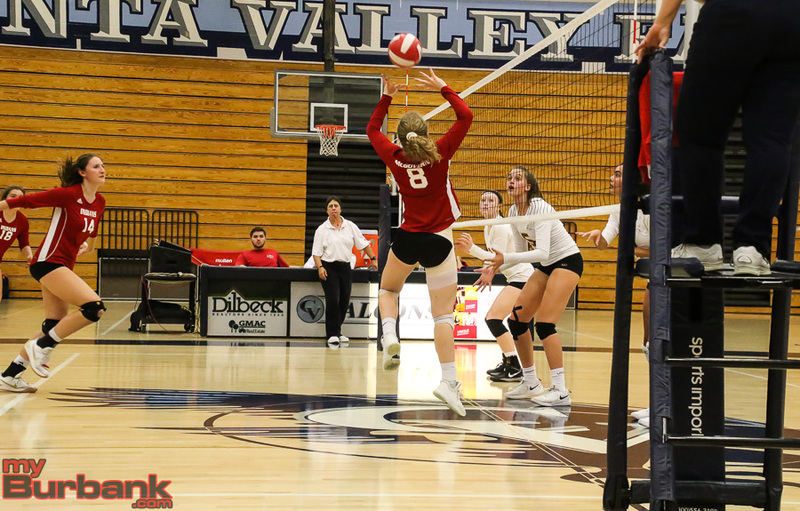 Grote opened the fourth set for the Indians, who tied for the league title with Arcadia, by scoring the first four points and the lead then swelled to 7-2 on Van Loo’s spike. Another winner from Van Loo made it 11-4 as the Bulldogs (14-15 and 9-5 in league) asked for time out. Sophomore outside hitter Catie Virtue’s back-to-back spikes then pushed the Indians’ advantage to 13-4. 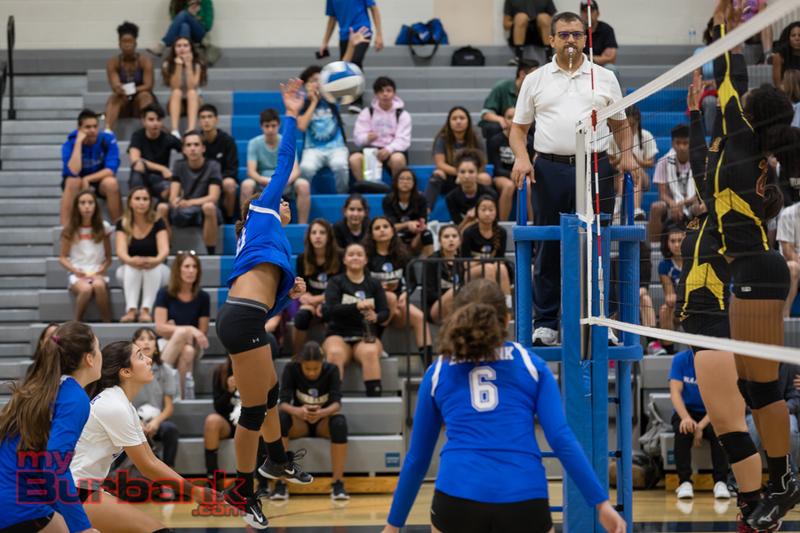 Van Loo and junior middle blocker Camila Sanchez-Tellez later combined on a block for a 14-4 edge. Virtue’s dagger made it 16-4 and Van Loo’s winner gave the Indians (23-7 and 13-1 in league) an 18-5 cushion. 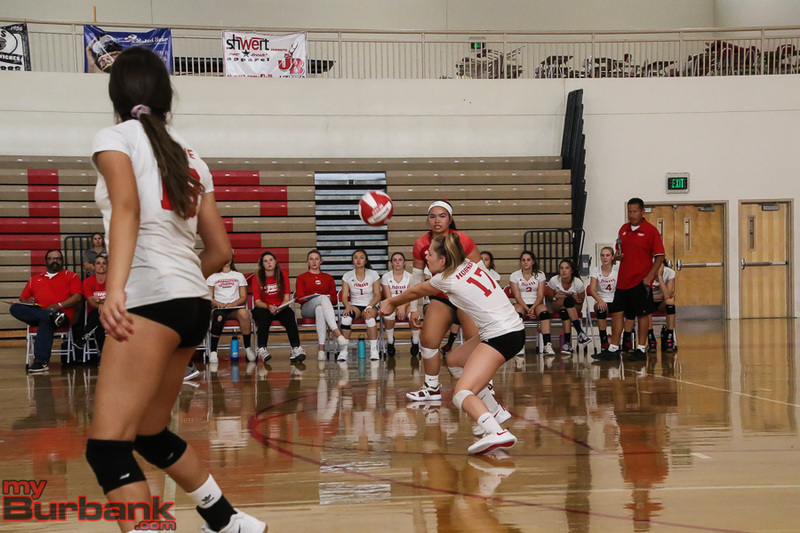 Sophomore defensive specialist Lily Rogers added a kill for the Indians, who surged ahead 18-8 and when Grote tossed in a spike, it was 21-10. Senior defensive specialist Ava Cannon’s winner made it 24-13 and Van Loo’s bullet gave the Indians the set and match. 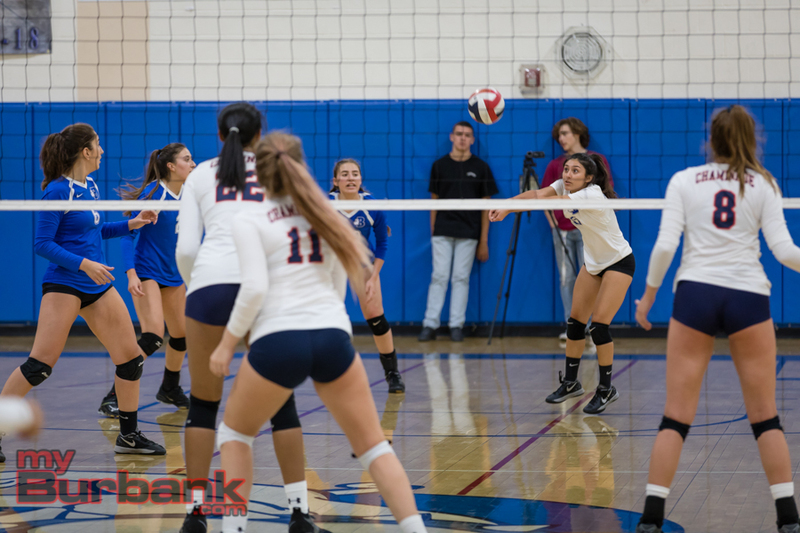 The opening frame was tied at 1-1, 2-2, 5-5, 6-6 and 7-7 before the Indians pulled ahead 14-9 Virtue’s service ace which forced Burbank to ask for time. Virtue then added an ace that made it 15-9 and Rogers contributed a service winner for a 17-11 cushion. McGovern is a senior setter and the quarterback or point guard on the floor for the Indians. Senior outside hitter Amaya Broyls (seven kills and 11 digs) then cut the lead to 21-16 with a kill for the Bulldogs. 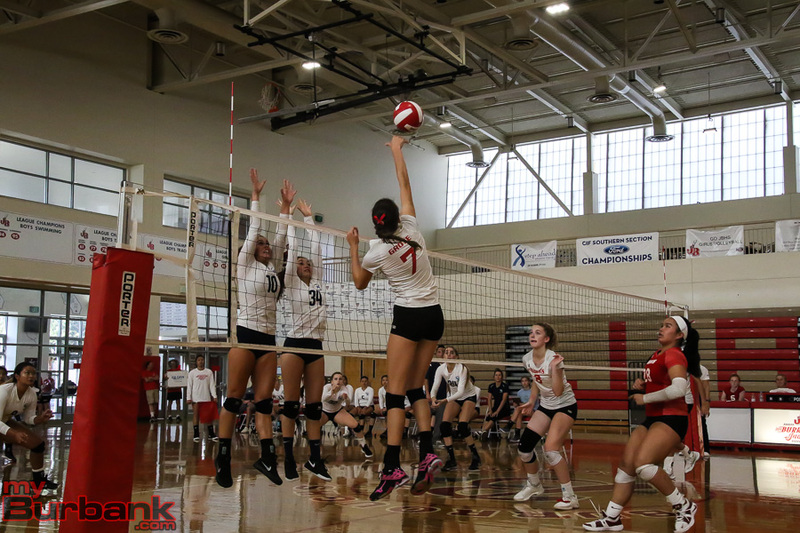 The Indians claimed the next four points as Virtue added a kill and an ace, Sanchez-Tellez a spike and Broyls hit the ball out of bounds for the set. 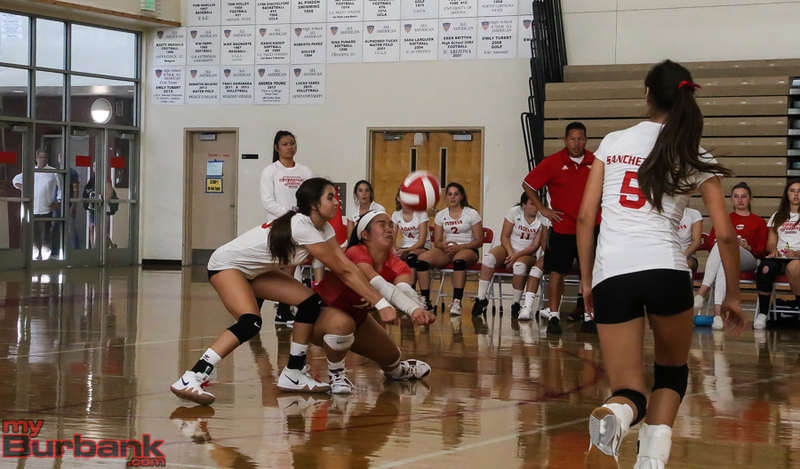 That initial meeting with the Apaches took place on Sept. 11 as the Indians lost in four sets. Burroughs then bounded ahead 5-2 in the second set after Grote and senior middle blocker Maggie Harris had a combined stuff. 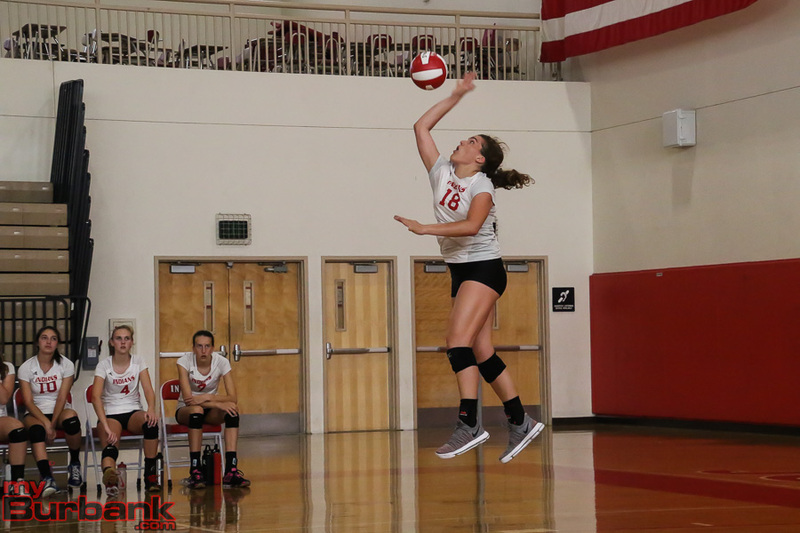 The Bulldogs came within 8-5 on a kill from junior outside hitter Katie Treadway (match-high 17 kills with four aces and 10 digs), but Virtue’s tapper gave the Indians a 9-5 lead. Burbank moved ahead 13-10 on Treadway’s winner, but it was tied at 13-13 when Rogers served an ace. Grote’s laser made it 17-14 in favor of the Indians as the Bulldogs asked for play to be halted. An ace from junior middle blocker/opposite hitter Leah Tawil (two kills and two aces) leveled it at 17-17 and then 21-21 on a kill from Broyls. Virtue’s smash made it 22-21 and Van Loo’s kill pushed the lead to 23-21 as the Bulldogs asked for time. Van Loo’s service winner made it 24-21 and a mishit from Treadway handed the set to the Indians. The third game was tied 2-2 on an ace from Treadway and 4-4 on a kill from senior defensive specialist Izzy Sanchez. 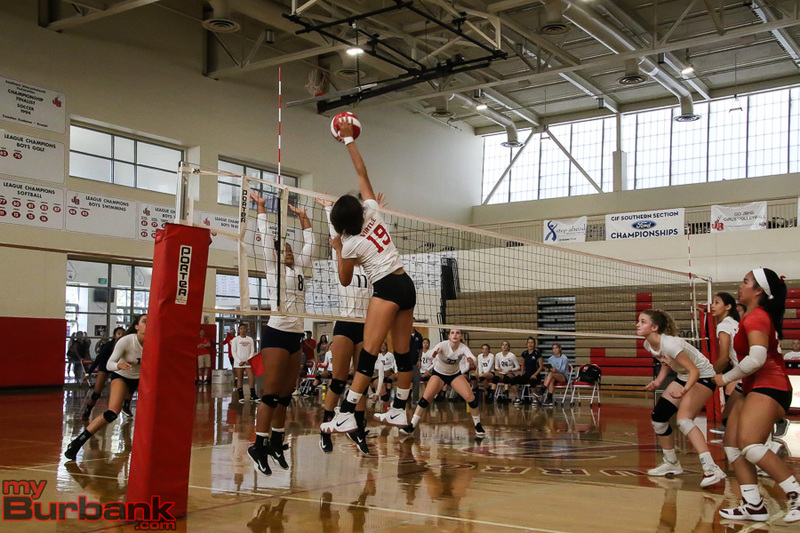 Senior middle blocker/opposite hitter Olivia Price (five kills) had a spike that evened it at 6-6, but the Indians dashed ahead 9-6 on a blast from Van Loo. An ace from senior opposite hitter Jolene Soliman handed the Indians a 12-8 lead as the Bulldogs called for time. 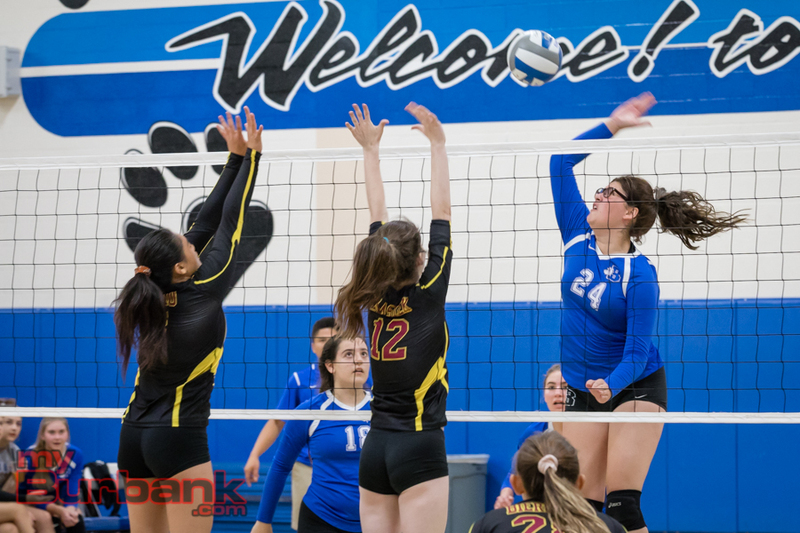 But the Bulldogs outscored the Indians 8-4 and evened it at 16-16 on a kill from junior setter Ashley Eskander (33 assists with seven digs and three aces) as the Indians asked for a stoppage. Burbank then scooted ahead 18-16 and 19-16 on consecutive service aces from Treadway. 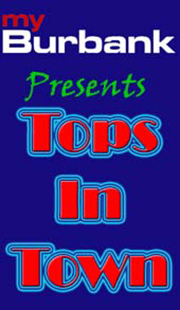 Grote’s tapper cut Burbank’s lead to 19-17, however, the Bulldogs waltzed ahead 24-20 on Treadway’s kill. 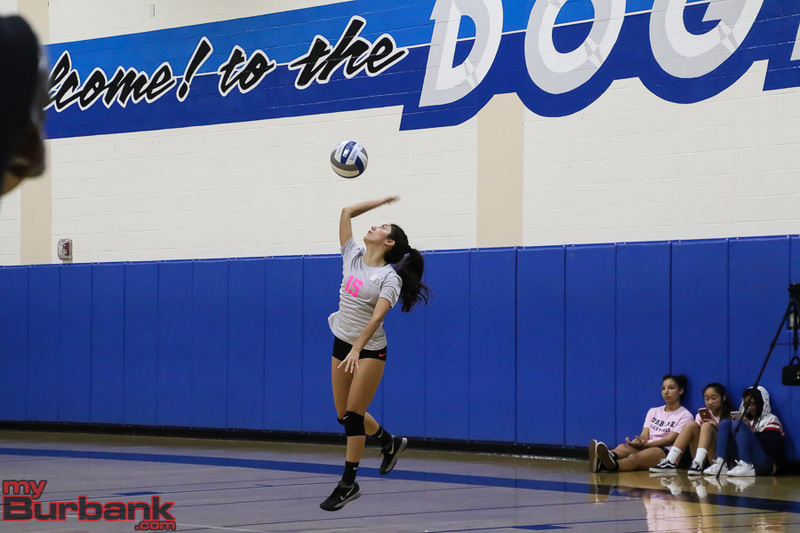 Senior libero/defensive specialist Hannah Cericos added eight digs for the Bulldogs. 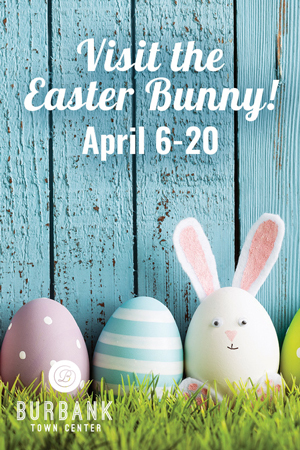 This entry was posted in Girls Volleyball, Sports and tagged Amaya Broyls, Ashley Eskander, Ava Cannon, Burbank High, Burroughs High, Camila Sanchez-Tellez, Catie Virtue, Girls Volleyball, Hannah Cericos, Izzy Sanchez, Jolene Soliman, Juliana Van Loo, Katie Treadway, Leah Tawil, Lily Rogers, Lydia Grote, Maggie Harris, Olivia Price, Pacific League, Shea McGovern on October 12, 2018 by Rick Assad. 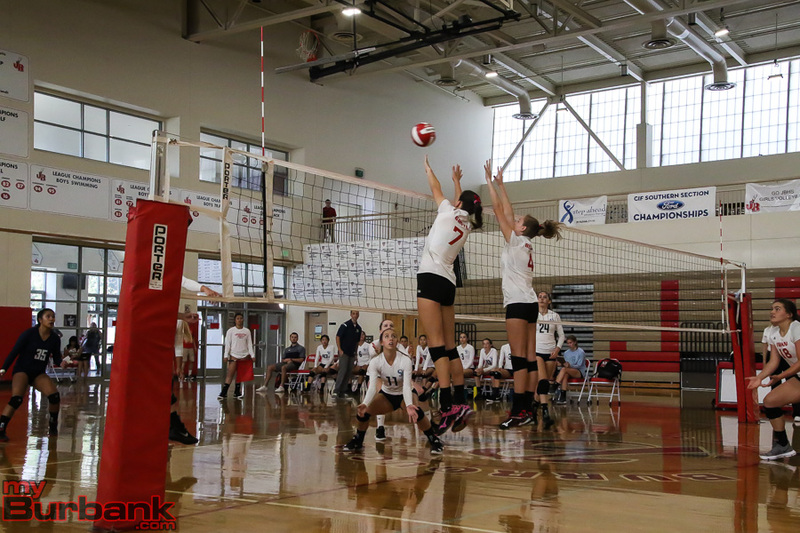 Juliana Van Loo and Lydia Grote are generally the top scorers for the Burroughs High girls’ volleyball team. 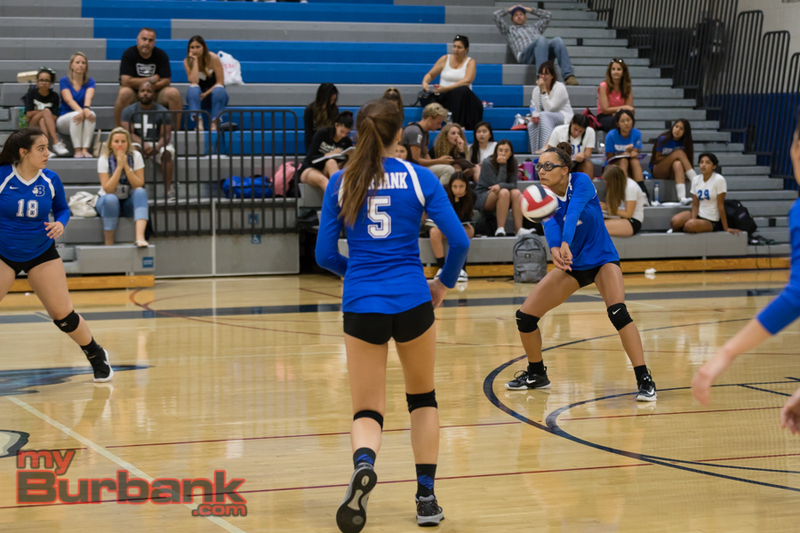 On Tuesday afternoon, the pair were just that and combined for 47 kills to help pace the Indians to a 25-13, 24-26, 25-23, 25-16 triumph over visiting Crescenta Valley in a Pacific League match. 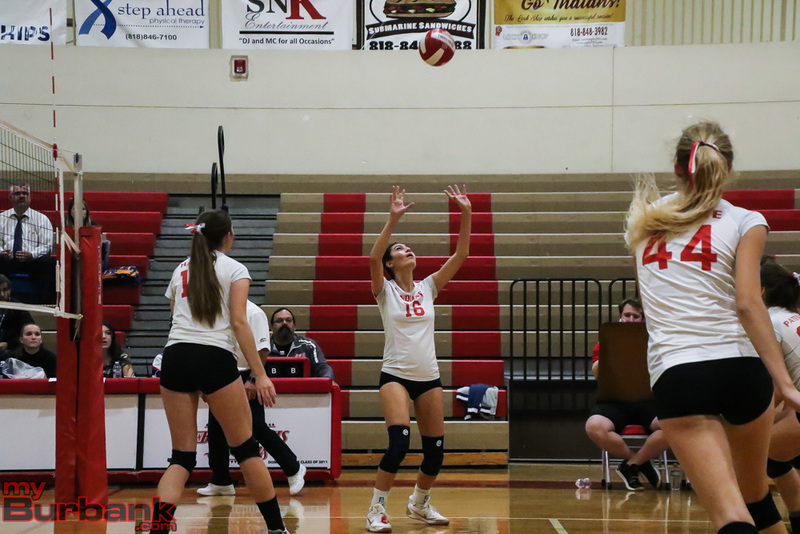 In the first and fourth sets the Indians passed the ball extremely well and in the process located their key offensive threats, Van Loo, who had a match-best 26 kills and Grote, who tallied 21. In the clincher, after it was tied 2-2, the Indians pulled ahead 8-4 on a kill from Grote, a junior outside hitter. The Falcons (6-6 and 2-1 in league) evened it at 8-8. 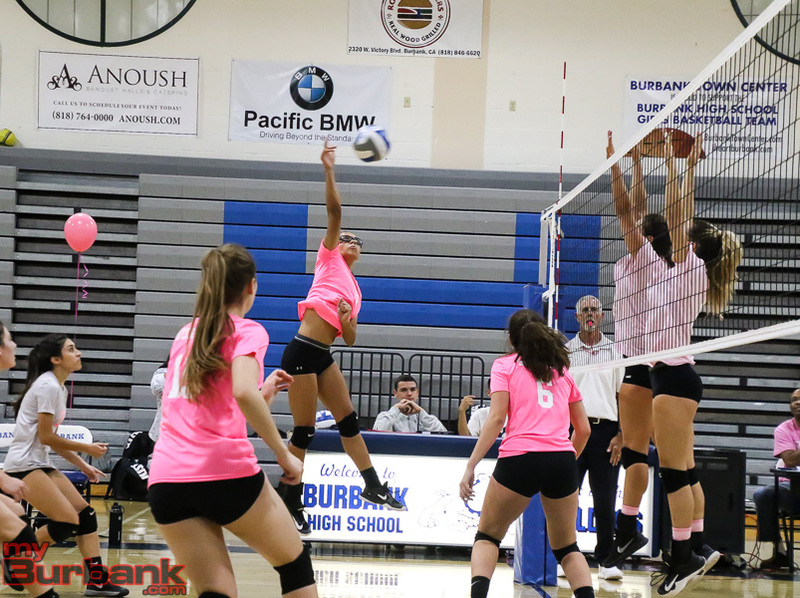 Another scoring spree followed as Burroughs (4-1 and 3-0 in league) darted in front 14-8 on a spike from Van Loo, a senior opposite hitter. 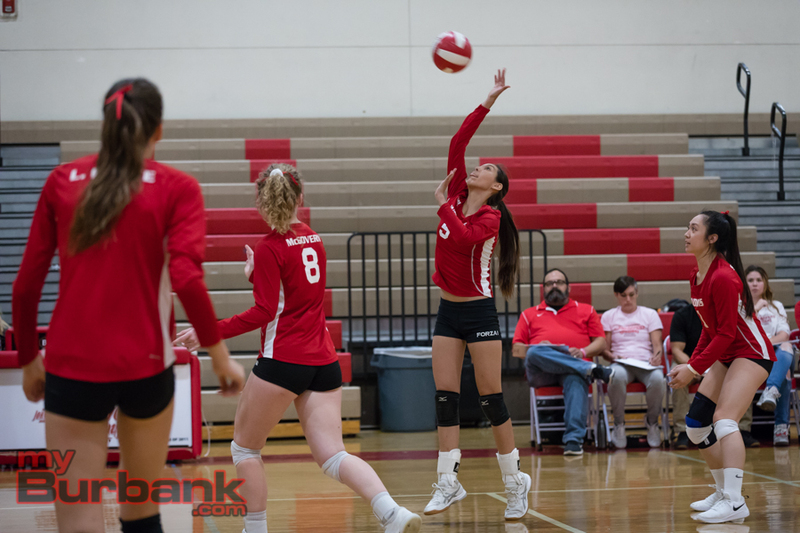 “For the first three sets, obviously, we were really trying to push to get those leads in the beginning and then by that fourth set we were really determined to get the win,” said Van Loo, a first-team all-league pick. Consecutive winners from Van Loo made it 16-11 and 17-11, a tapper from sophomore outside hitter Catie Virtue (seven kills) had the Indians ahead 19-13 and two kills from Grote made it 21-14 and 22-14. A service ace from senior setter Shea McGovern gave the Indians a 24-15 edge and Grote’s spike handed the Indians the set and match. Burroughs came out in the opening frame and bulled its way ahead 6-2 on Van Loo’s dagger and 11-3 on another spike from Van Loo. The Indians bolted in front 15-6 on a kill from junior middle blocker Camila Sanchez-Tellez and Grote’s winner pushed it to 19-10. 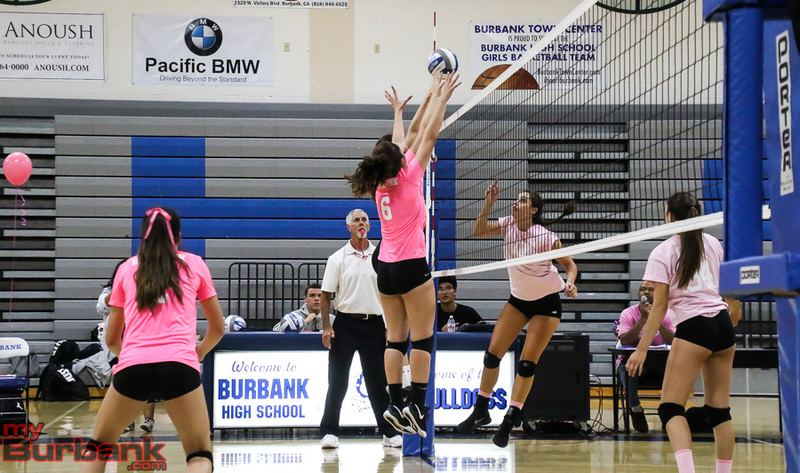 Van Loo then unloaded two kills as Burroughs extended its advantage to 21-12 and 22-13. 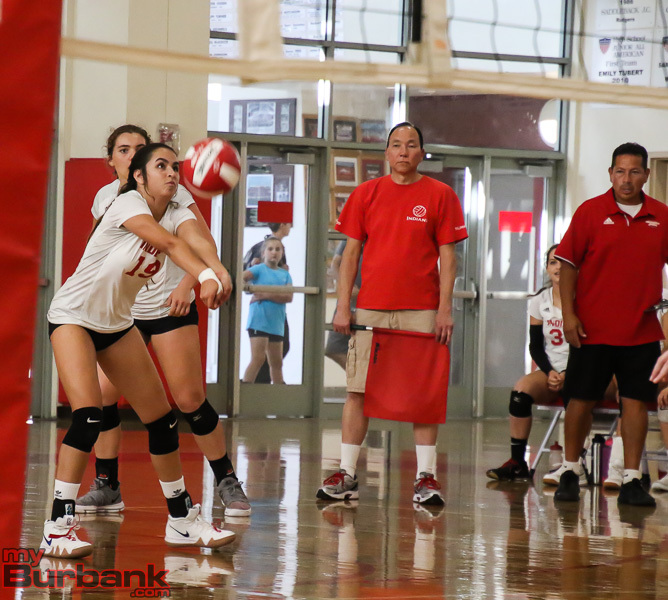 Burroughs senior defensive specialist Jolene Soliman delivered two straight aces that made it 24-13 and Virtue’s tapper gave the Indians a one-game lead. The Indians led 8-4 in the second frame on Van loo’s kill. 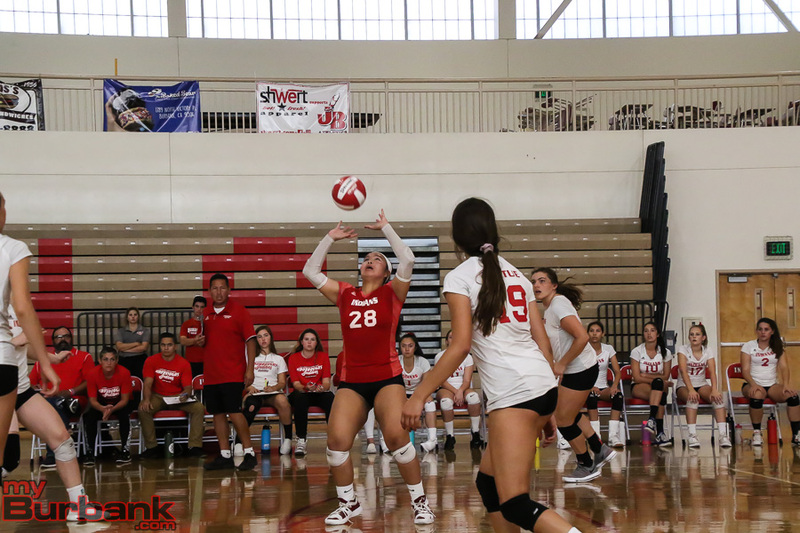 It became 10-7 on an ace from Burroughs senior libero Caitlin Kim. 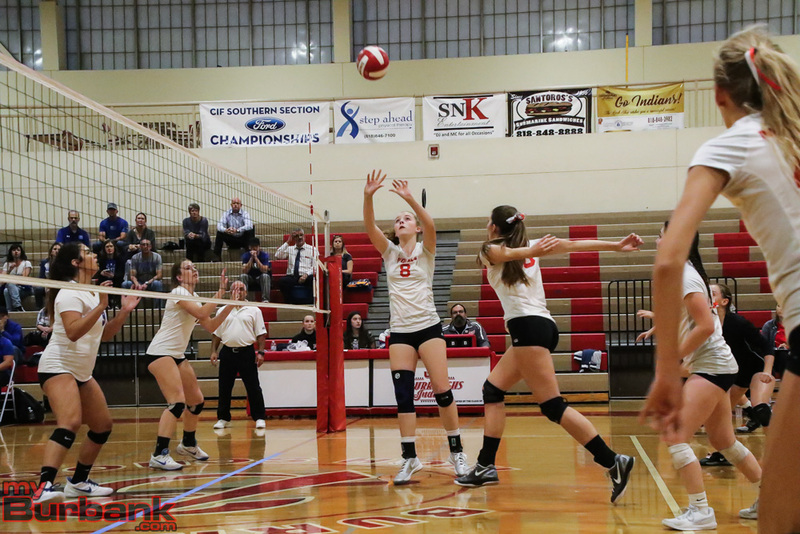 Virtue’s kill supplied the Indians with a 14-9 edge, but the Falcons drew within 14-11 on an ace from junior outside hitter Lizzy Kerman, who had nine kills. It was deadlocked at 16-16 before Crescenta Valley took an 18-16 lead when Grote’s shot hit the net. The Indians came within 20-18 on Grote’s blast, but the Falcons inched ahead 22-21 on Kerman’s tapper. 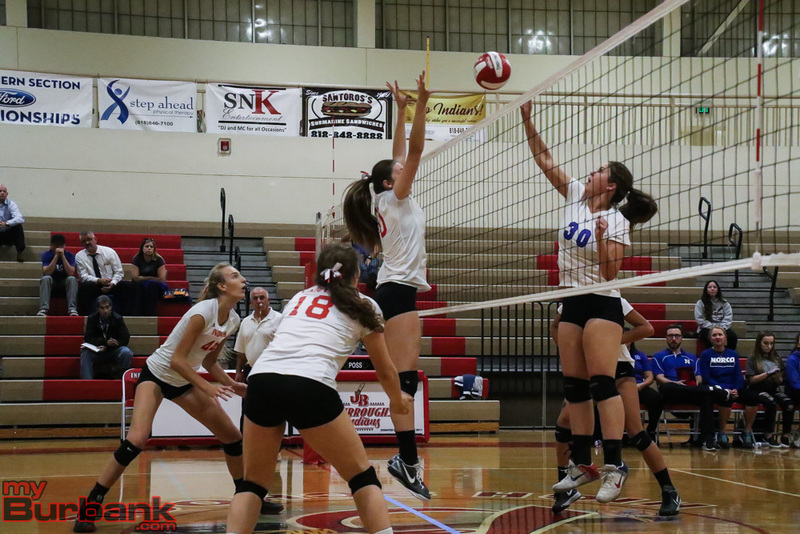 It was level at 22-22 on Van Loo’s kill and 24-24 on another Van Loo spike. 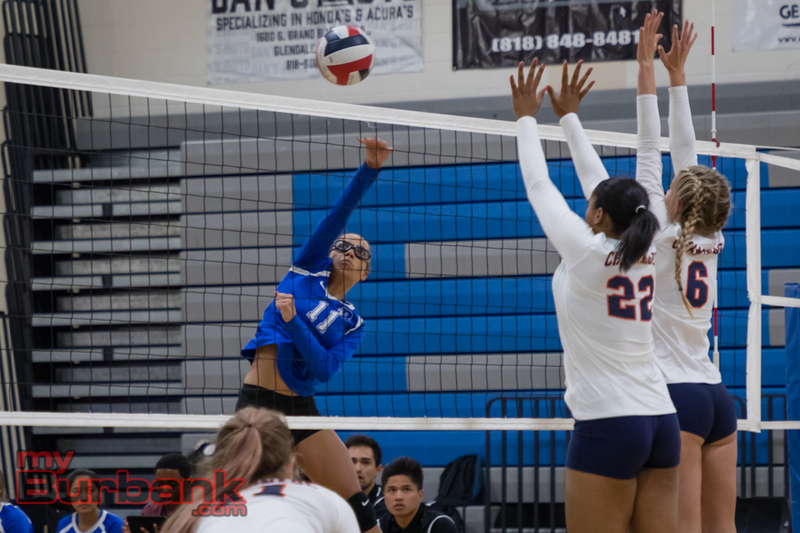 The Falcons claimed the final two points on tappers from Kerman and senior opposite hitter Teny Noordemeer. The Falcons led the third set 5-2 on an ace from sophomore defensive specialist Jamie Santos. 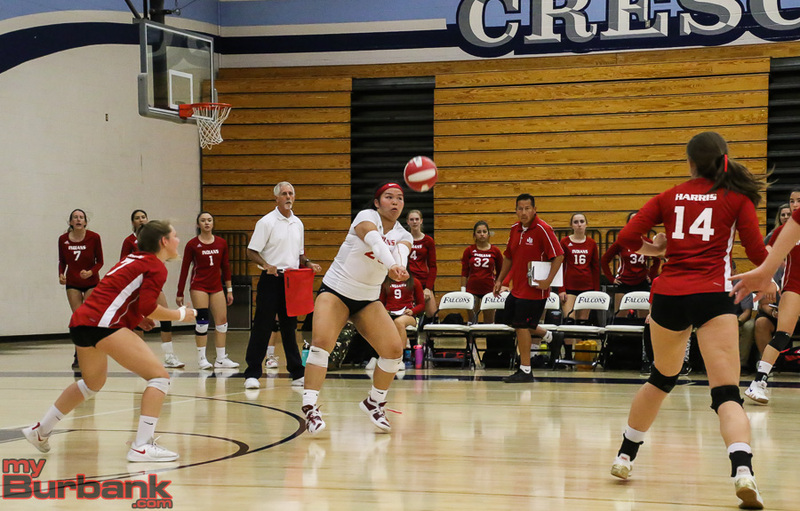 Crescenta Valley then moved in front 10-6 on a service ace from senior defensive specialist Cathy Dong, however, the Indians came within 13-10 on a kill and two aces from Van Loo. 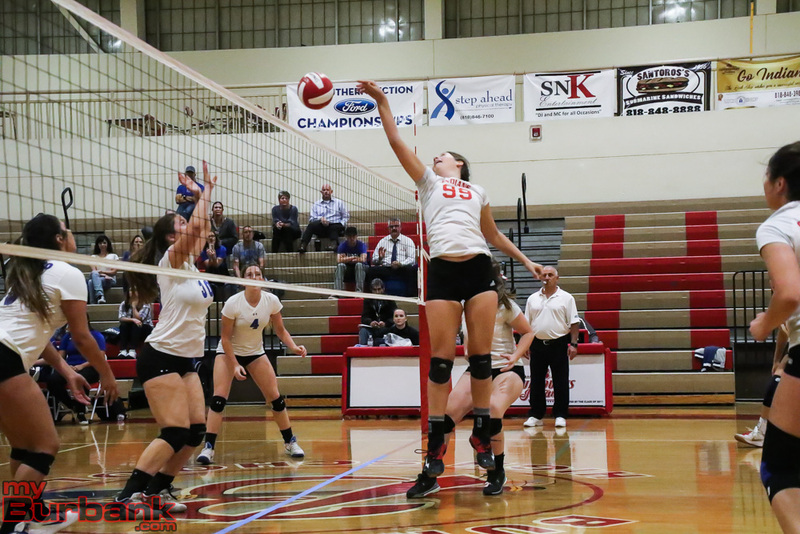 The Falcons marched in front 17-14 on a rocket from senior outside hitter Kaitlin Karsten (team-high 11 kills), but the Indians took over 21-18 on Van Loo’s kill. “I’m proud of the way the girls played. We had several close matches in the preseason against good teams. 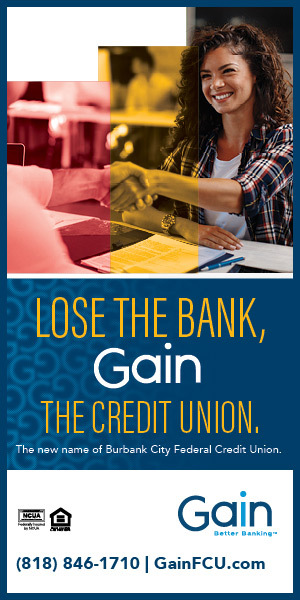 In losses you can learn more than in wins because you’re open to learning,” Simons said. Virtue’s spike evened it at 21-21 and it was tied at 23-23 on Van Loo’s kill. 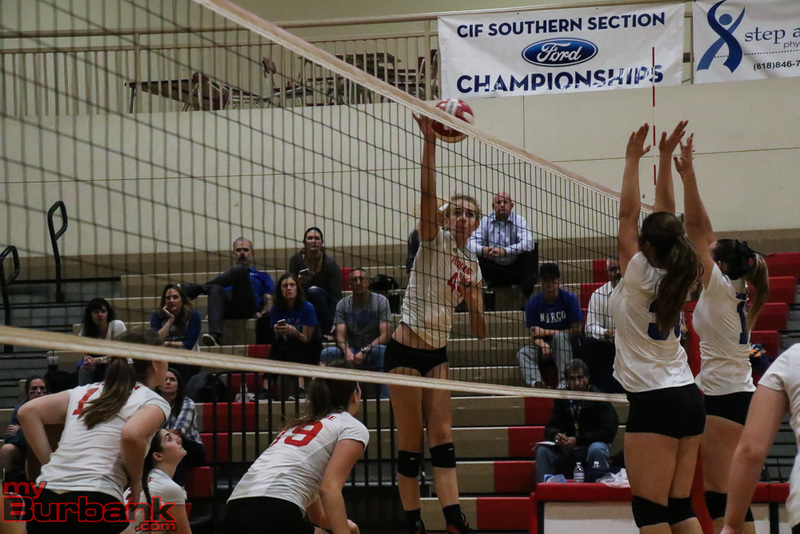 A mishit by senior setter Madison Blohm made it 24-23 in favor of Burroughs and Kerman’s shot hit the net for the set. 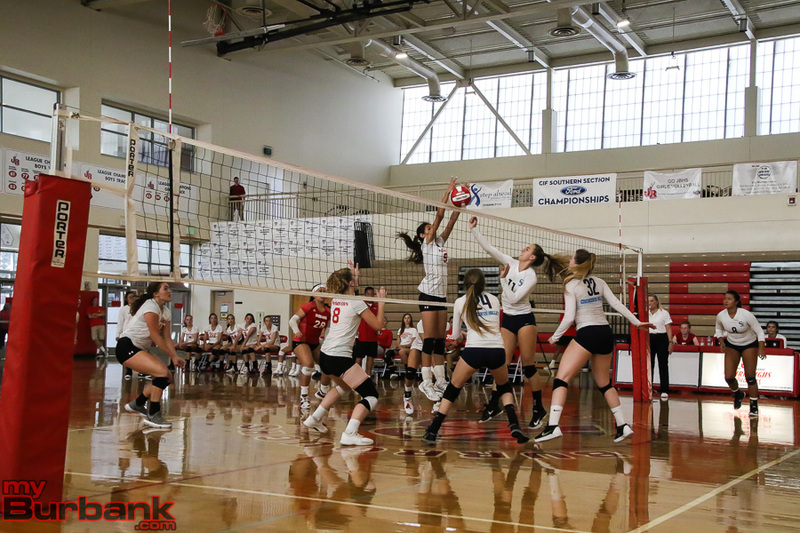 This entry was posted in Girls Volleyball, Sports and tagged Burroughs High, Caitlin Lim, Camila Sanchez-Tellez, Catie Virtue, Girls Volleyball, Jolene Soliman, Juliana Van Loo, Lydia Grote, Pacific League, Shea McGovern on September 5, 2018 by Rick Assad. 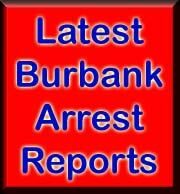 Burroughs High and Burbank share not only proximity, but an unrelenting and fierce rivalry that goes back decades. 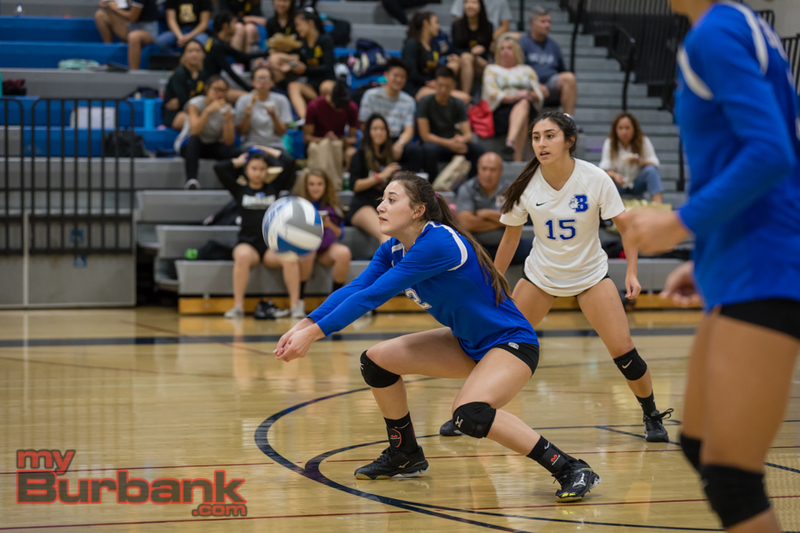 The two girls’ volleyball programs also share the proverbial hope of making the CIF Southern Section playoffs. 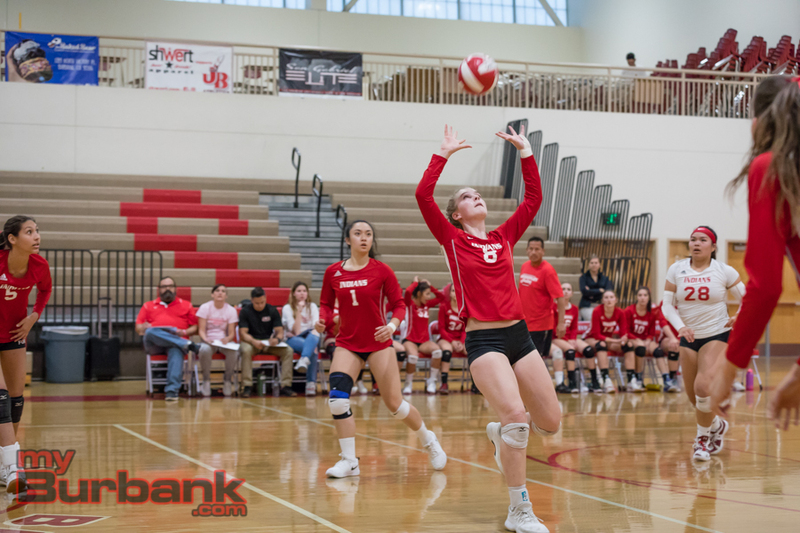 Both will be without key players lost to graduation like outside hitter Marin Grote, who is playing for the University of Washington and averaged 13 kills a match for the Indians, who went to the second round of the Division III playoffs. 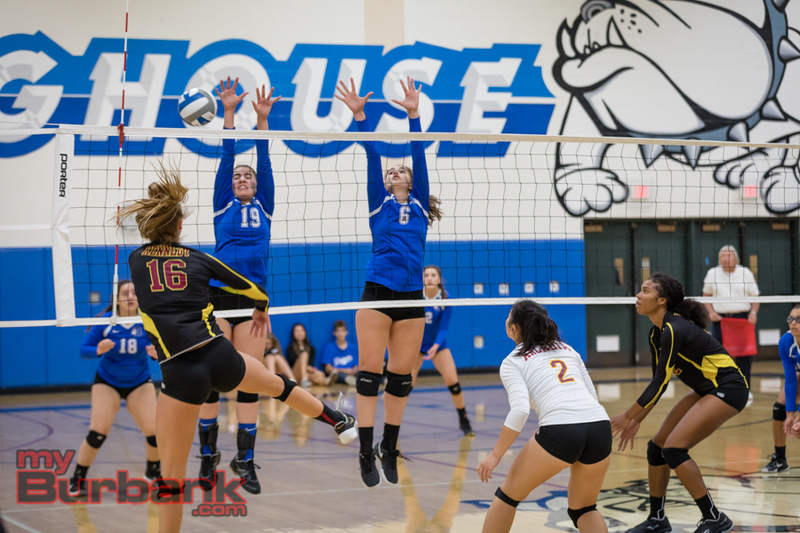 The Bulldogs don’t have outside hitter Melissa Daniel, who will be attending Stanford University, middle blocker Erin Lashkari and opposite hitter Bene Snyder. Still there is more than enough talent for both teams to compete for the Pacific League banner, according to the respective coaches. Coach Edwin Real saw the Indians finish 24-7 and 13-1 in league play for the league crown. The Indians, who are 1-1 this season and will host Burbank on Sept. 18 and visit the Bulldogs on Oct. 31, have claimed two of the last three league championships. 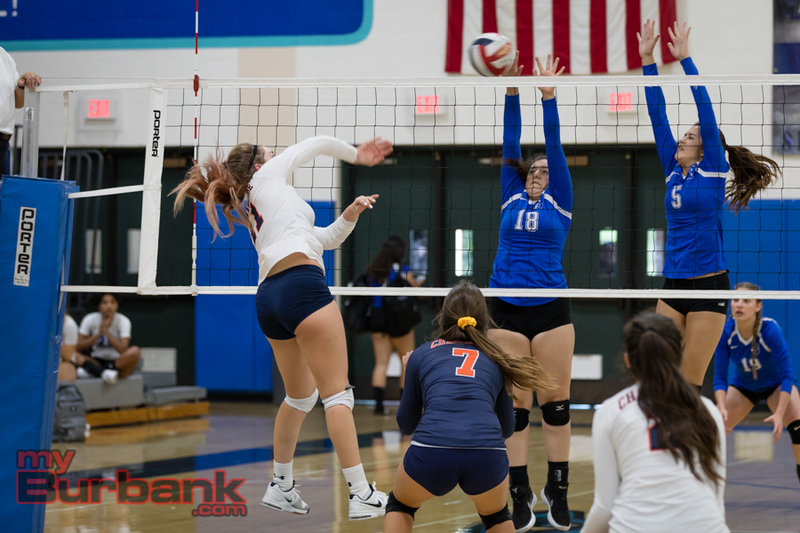 Leading the charge will be senior opposite hitter Juliana Van Loo, who was a first-team all-league pick after averaging nearly seven kills per match. 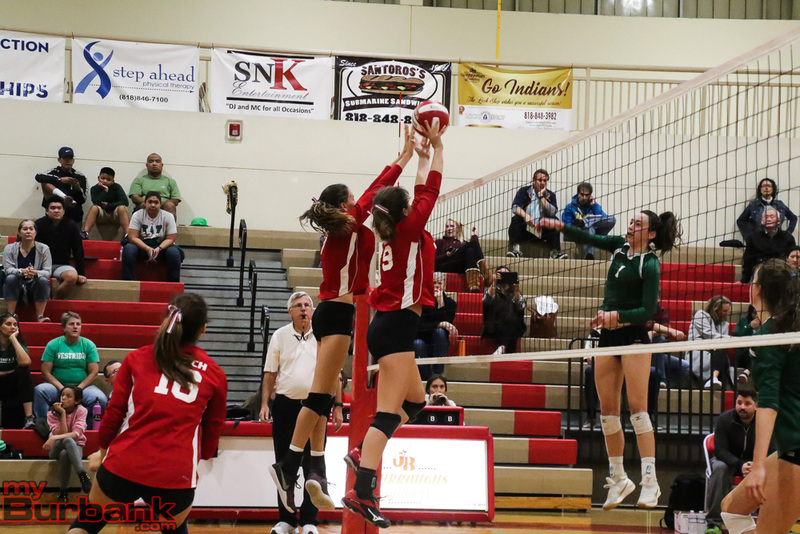 Junior outside hitter Lydia Grote, Marin’s younger sister, will also be counted upon as will senior opposite hitter Shea McGovern and sophomore outside hitter Catie Virtue. Real likes the offense and the team’s closeness. “We work together and have a lot of hitting options and we play good defense,” he said. 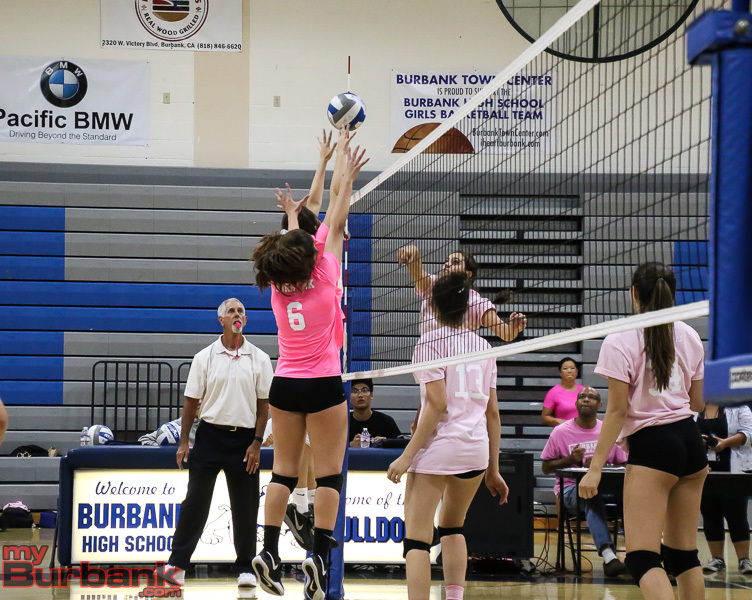 Burbank Coach Karl Rojo is counting on senior outside hitter Amaya Broyls, junior setter Ashley Eskander and junior outside hitter Katie Treadway to set the pace for the Bulldogs, who went 17-7-1 and 10-4 for third place in league. Rojo said he feels the team, which is 0-4 this season, will be in contention for the league title. “We should be in the top three or the top four,” he said. 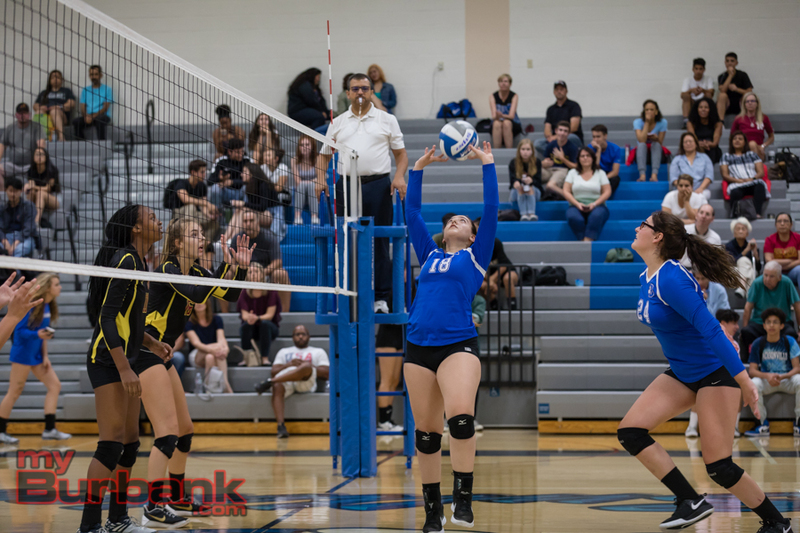 Other contributors include senior defensive specialist Izzy Sanchez, senior libero Kayla Pino, senior opposite hitter Carmen Camacho-Platas, senior middle blocker Ava Kuiper and junior setter Kassie Gonzalez. The rest of the squad will be comprised of senior opposite hitter Olivia Price, senior libero Hannah Cericos, junior libero Morgan Bolger, junior middle blocker Leah Tawil and junior opposite hitter Brandice Hibbard. 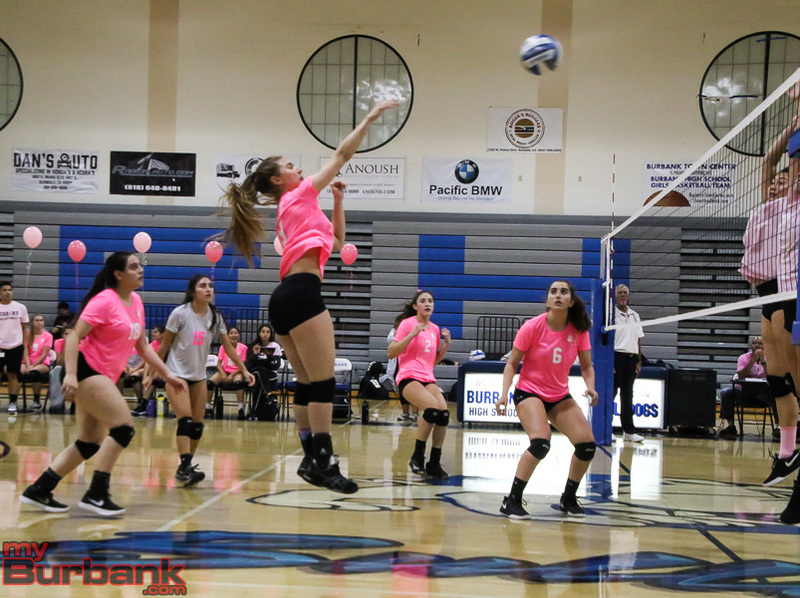 This entry was posted in Girls Volleyball, Sports and tagged Amaya Broyls, Ashley Eskander, Ava Kuiper, Bianca Hudson, Brandice Hibbard, Burbank High, Burroughs High, Carmen Camacho-Platas, Catie Virtue, Girls Volleyball, Hannah Cericos, Izzy Sanchez, Juliana Van Loo, Kassie Gonzalez, Katie Treadway, Kayla Pino, Leah Tawil, Lydia Grote, Morgan Bolger, Olivia Price, Pacific League, Shea McGovern on August 28, 2018 by Rick Assad. 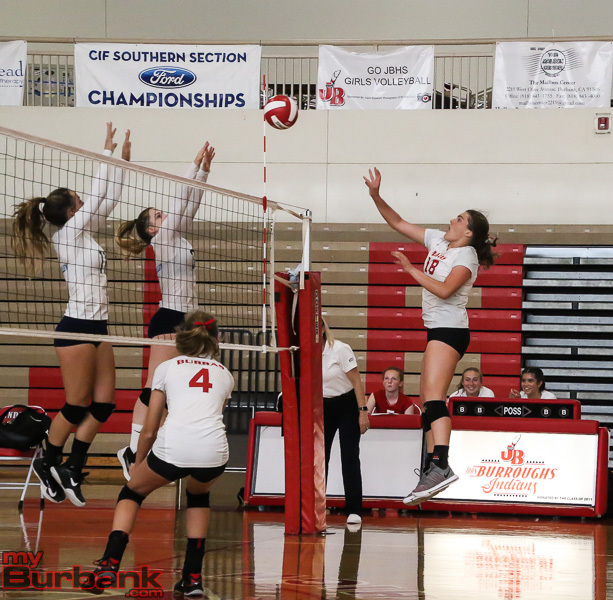 Try as they might, the Burroughs High girls’ volleyball team came up just short in its CIF Southern Section Division III second-round playoff match against visiting Westridge on Thursday night. It took five sets in order for the Tigers to tame the Indians 25-17, 21-25, 15-25, 25-21, 15-9. 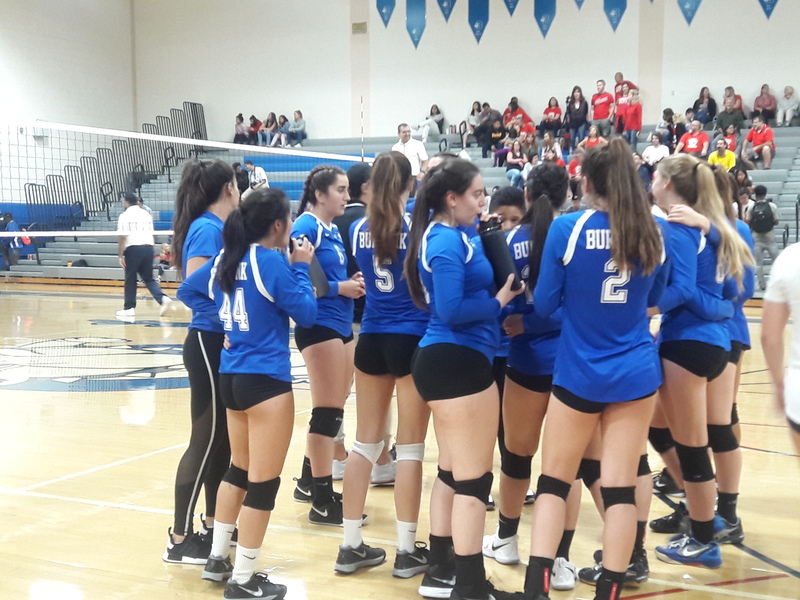 “We felt pretty good, but we knew that the other team would fight and we got stuck in a couple of rotations and ball control was suspect all night,” Burroughs coach Edwin Real said. 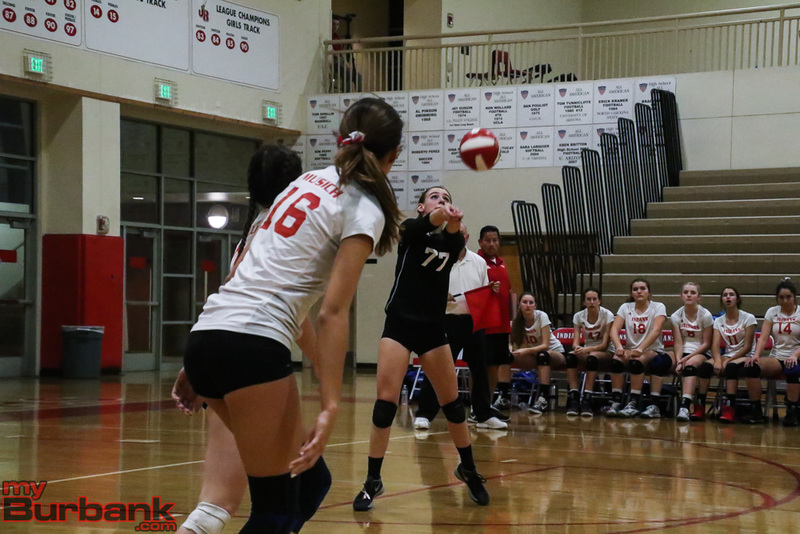 The fifth and decider was tied at 2-2 on senior outside hitter Marin Grote’s kill and 3-3 on Westridge freshman opposite/hitter Kathleen Chen’s net serve. The Tigers seized control and led 11-7 on a winner from senior opposite/outside hitter Makana Meyer. Westridge went on a 4-2 spurt and captured the set and match when senior opposite hitter Jewel Musich’s shot missed the target. 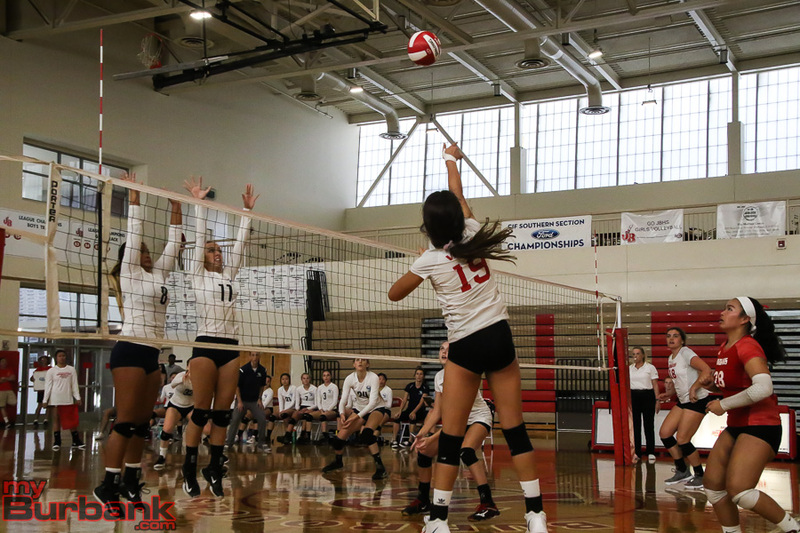 After dropping the opening game, the Indians (24-7) rallied and took the second set. 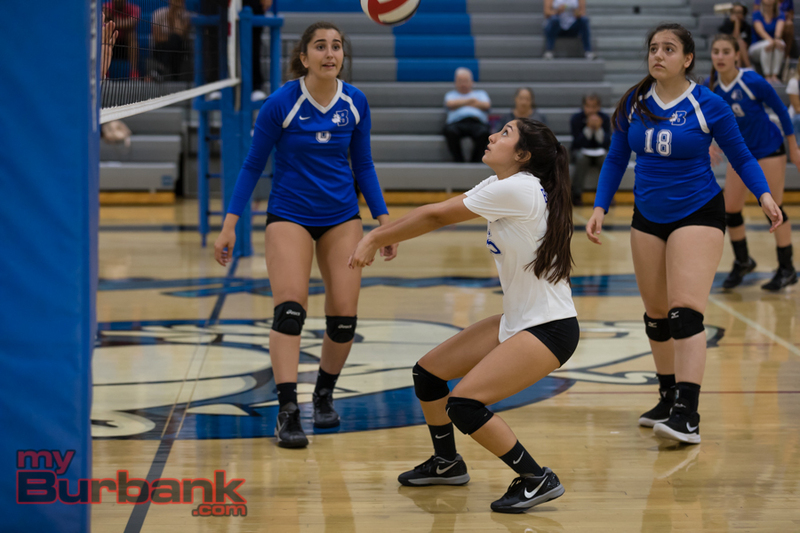 It was tied at 1-1 and 2-2, before Westridge (24-6) went on a 9-5 spurt and led 11-7 on a kill from senior outside hitter Allison Martinez. Burroughs drew within 12-9 on Grote’s dagger, but Chen’s tapper made it 15-9 as the Indians called time out. Burroughs went on a 5-0 blitz that was capped off by Grote’s stuff that evened it at 15-15. The Indians burst ahead 17-16 on a winner from junior opposite hitter Juliana Van Loo. 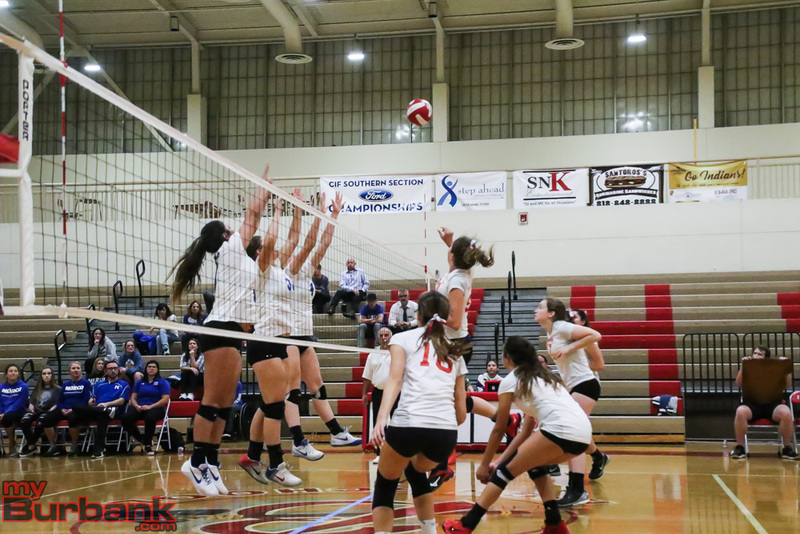 Van Loo’s tapper made it 18-16 while sophomore outside hitter Lydia Grote’s kill pushed the advantage to 19-16. Van Loo’s blast leveled it at 21-21 and was followed by a block from Lydia Grote that made it 23-21. 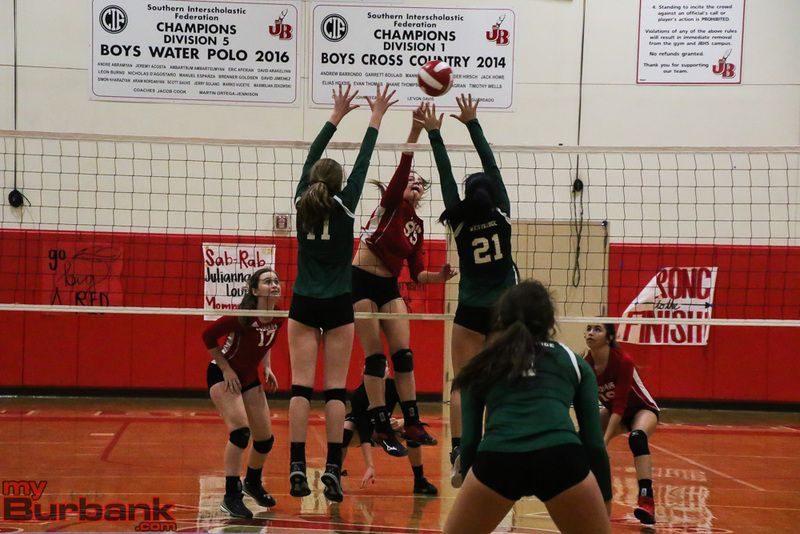 Senior middle blocker Ricki Patenaude’s kill gave the Indians a 24-21 advantage and Patenaude’s jam evened the match at one game apiece. Burroughs seized control of the third set after leading 8-4 on Marin Grote’s spike and 14-10 on Patenaude’s service ace. 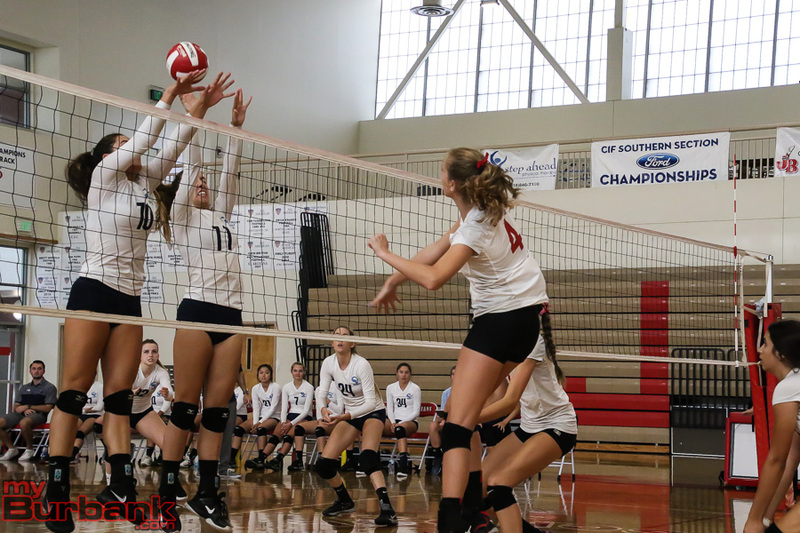 It became 20-11 on a kill from junior middle blocker Maggie Harris and 23-12 on another smash from Harris. 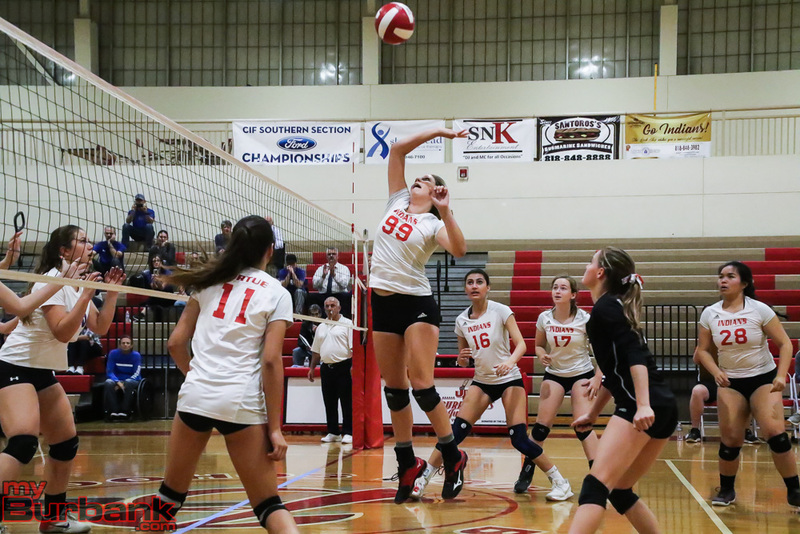 The Indians then took two of the last five points including junior outside hitter Lauren Baydaline’s serve that hit the net as they led two games to one. Close early and late, the fourth game saw the Indians lead 8-6 on Lydia Grote’s kill and 13-11 on Marin Grote’s wallop. Lydia Grote’s winner made it 17-14, but the Tigers roared back and led 22-20 on senior middle blocker Eryn Boken’s ace. The Tigers claimed three of the next four points including sophomore libero Krystal Raymundo’s kill that evened the match at two games each. The initial set went to Westridge which led 7-3 on Martinez’s ace and caused the Indians to ask for time. Martinez’s kill made it 12-10 and Raymundo’s service ace pushed the advantage to 15-10. When Martinez tacked on a spike it became 16-10 as Burroughs requested yet another time out. The Tigers led 18-13 on Martinez’s kill and then 20-14 on Boken’s service winner. Westridge darted ahead 24-16 on Meyer’s dagger and took the set on Martinez’s spike. 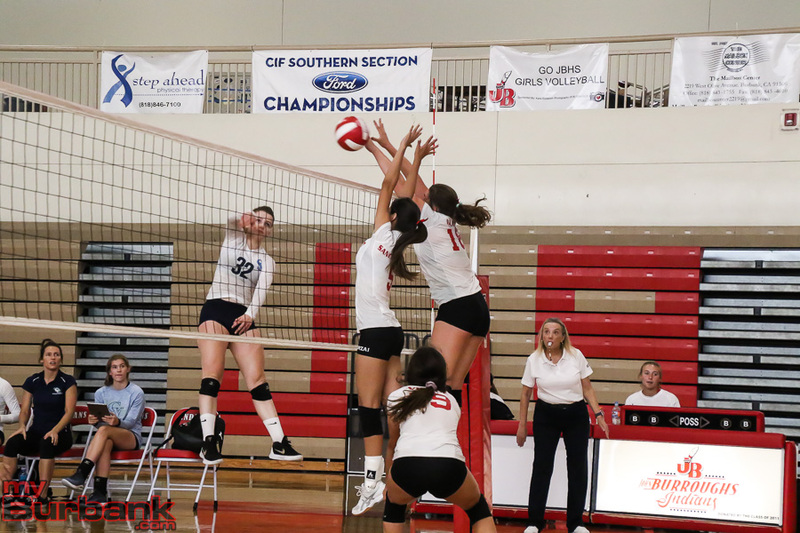 This entry was posted in Girls Volleyball, Sports and tagged Burroughs High, CIF second round, Girls Volleyball, Jewel Musich, Juliana Van Loo, Lydia Grote, Maggie Harris, Marin Grote, Ricki Patenaude on November 3, 2017 by Rick Assad.